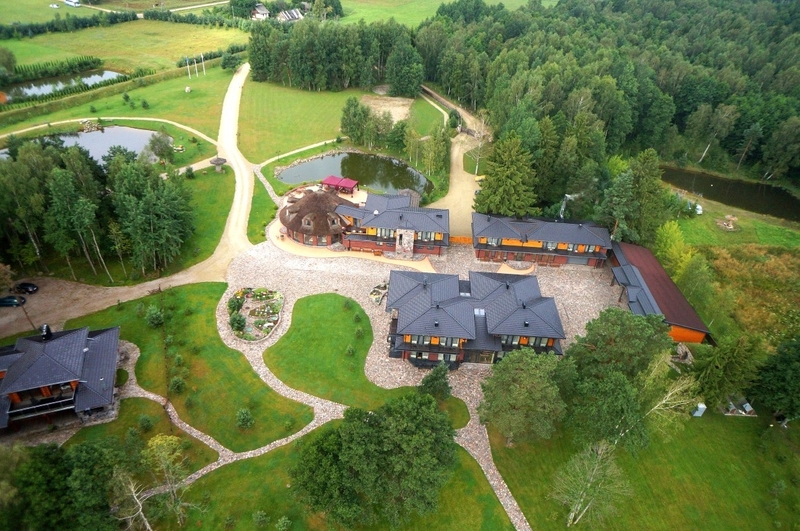 Pušynės g. 28, Uikių k., Sedos sen., LT-89381 Mažeikių r.
We invite you to the wonderful land of Zemaitija. 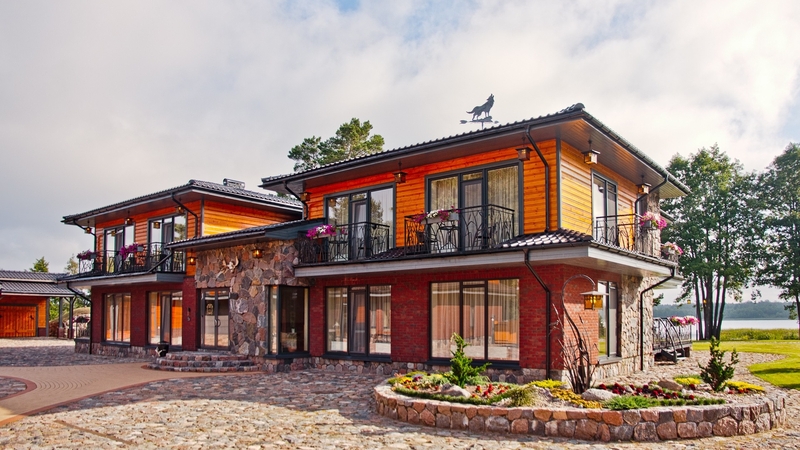 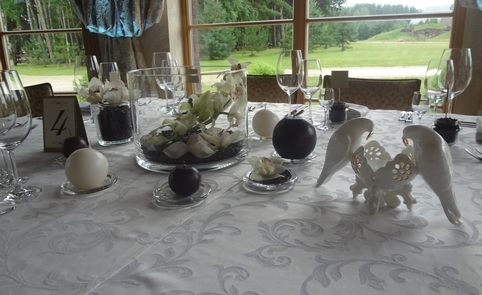 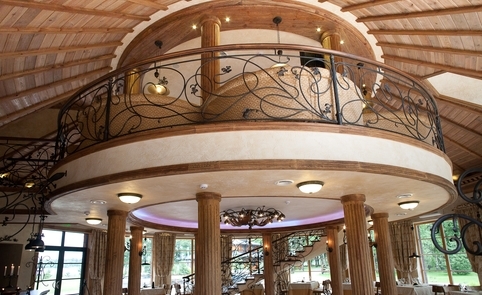 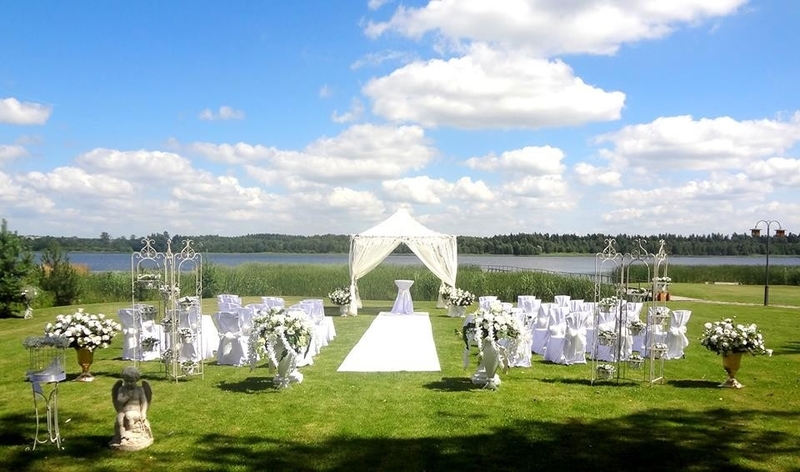 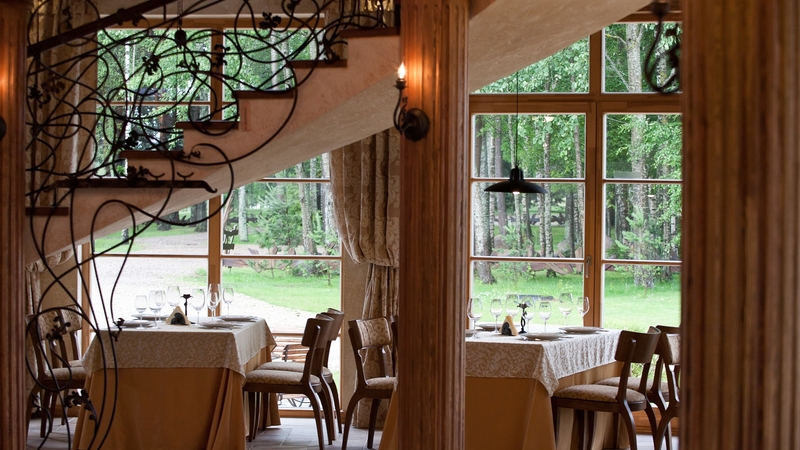 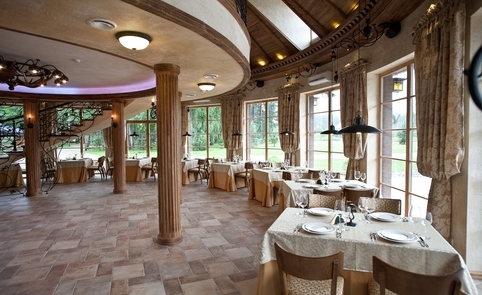 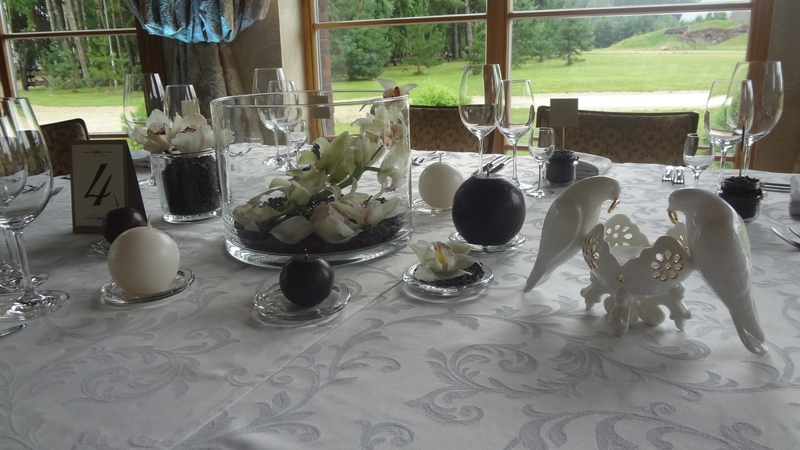 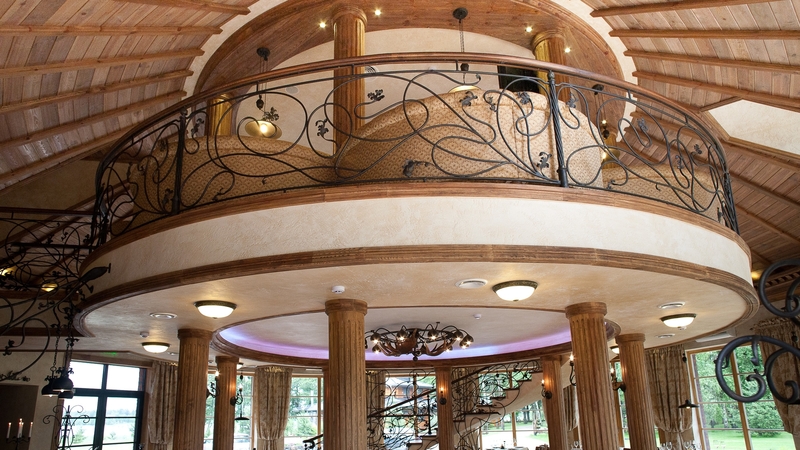 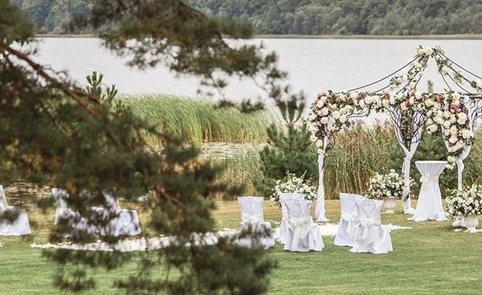 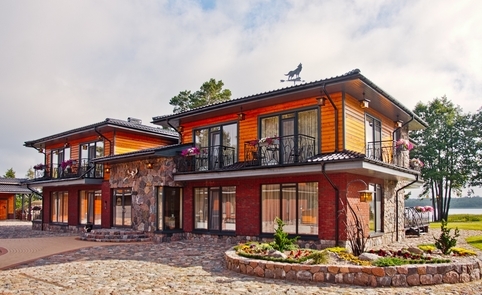 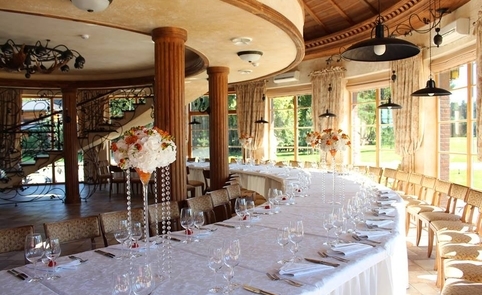 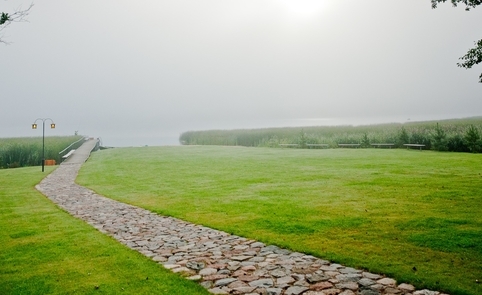 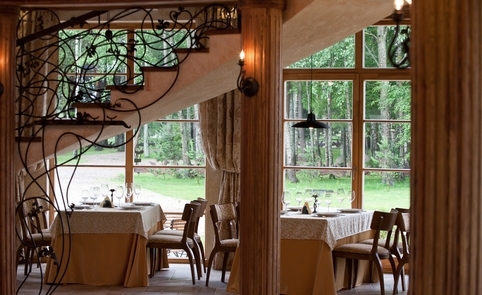 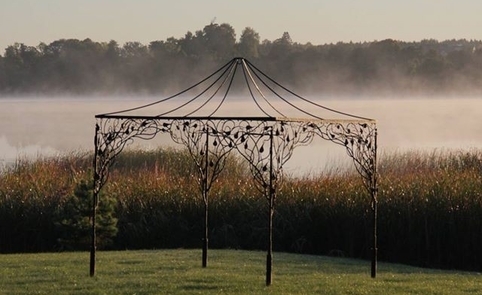 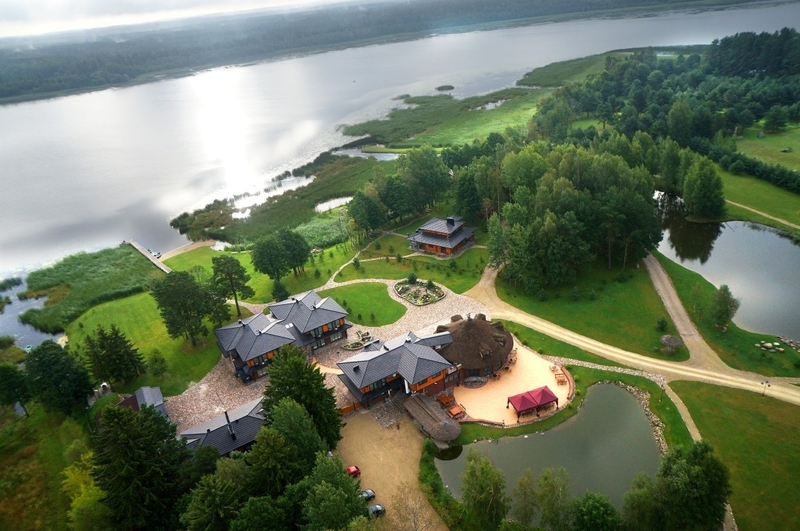 In 2012, on the shore of the Lake Plinksiai a luxurious and stylish Villa "Dubgiris" opened its doors to guests. 4 hectares of the homestead area with green lawns, pleasant shady pine forests and ponds full of fish, and of course, the incomparable shore of the Lake Plinksiai are ready for your recreation and entertainmen. 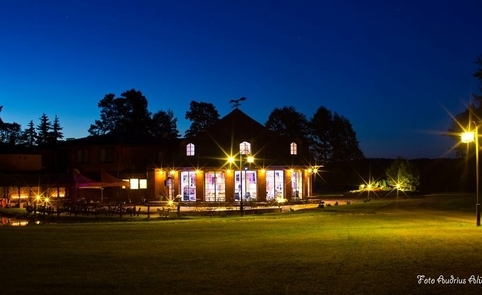 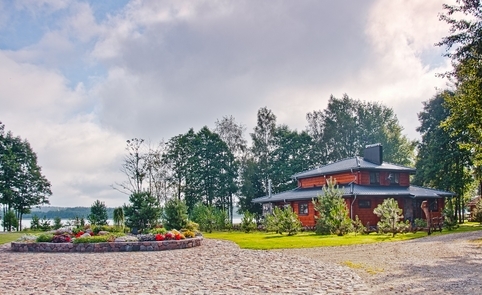 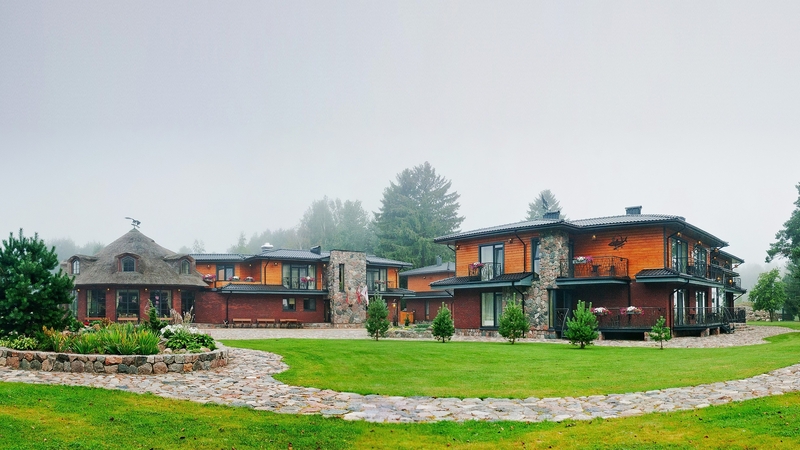 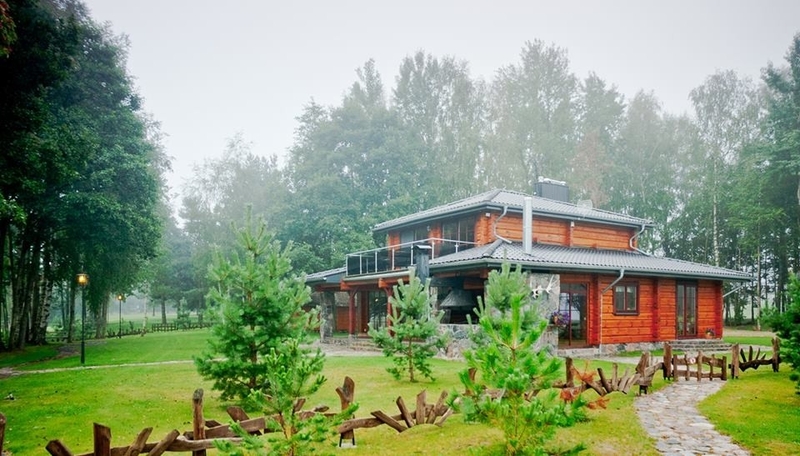 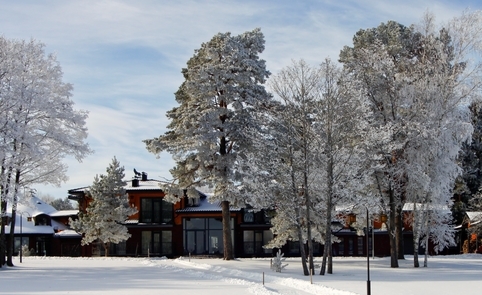 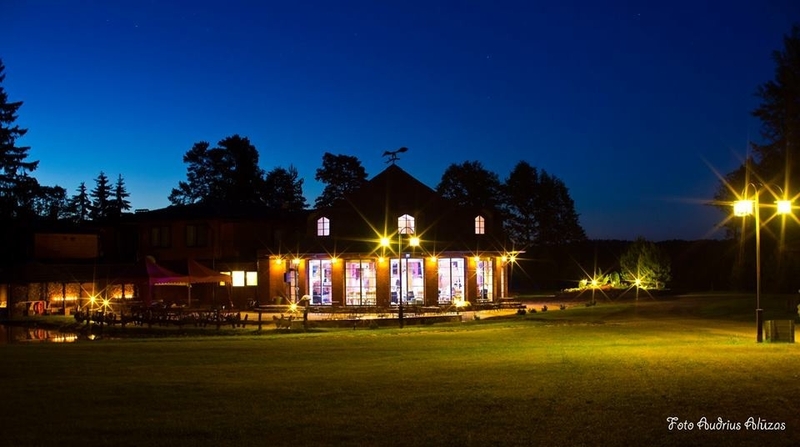 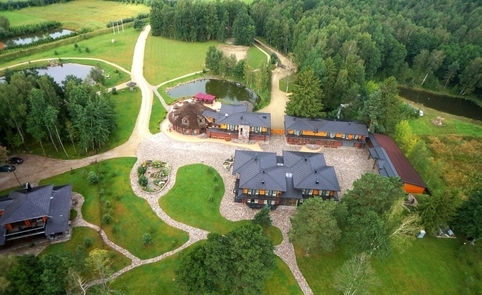 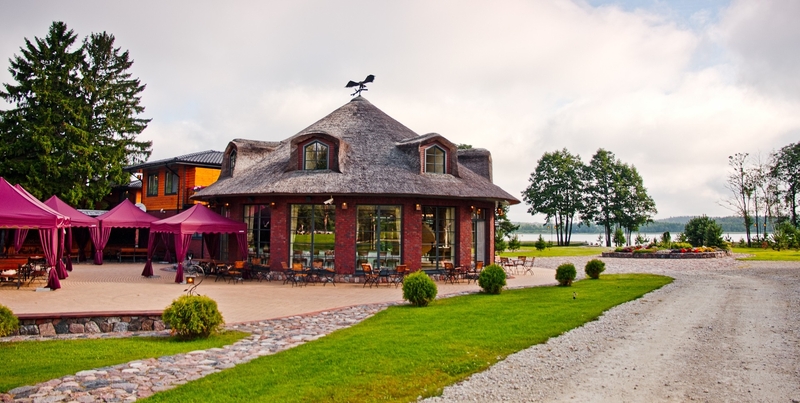 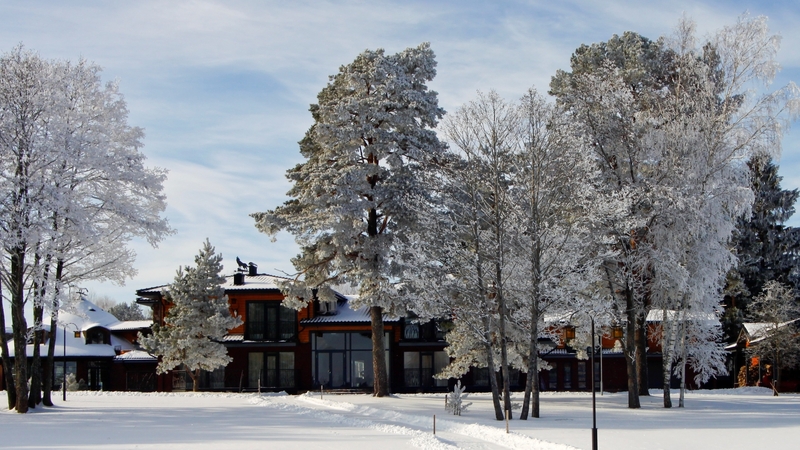 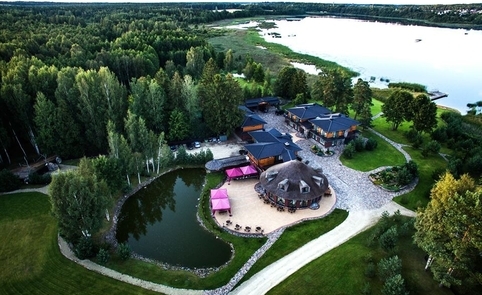 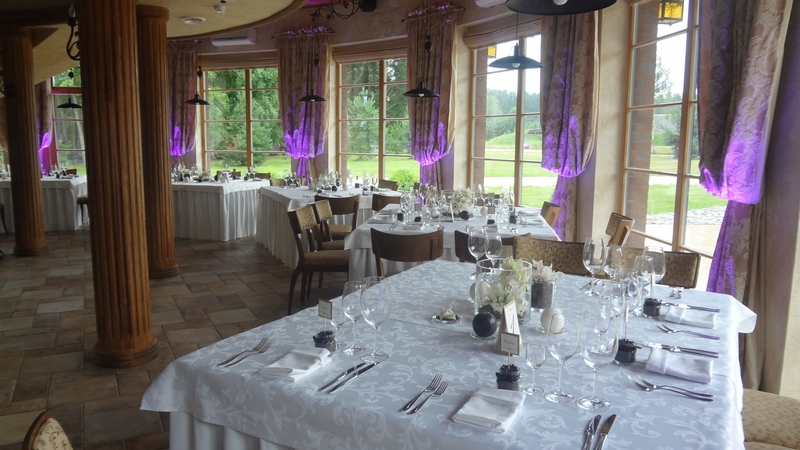 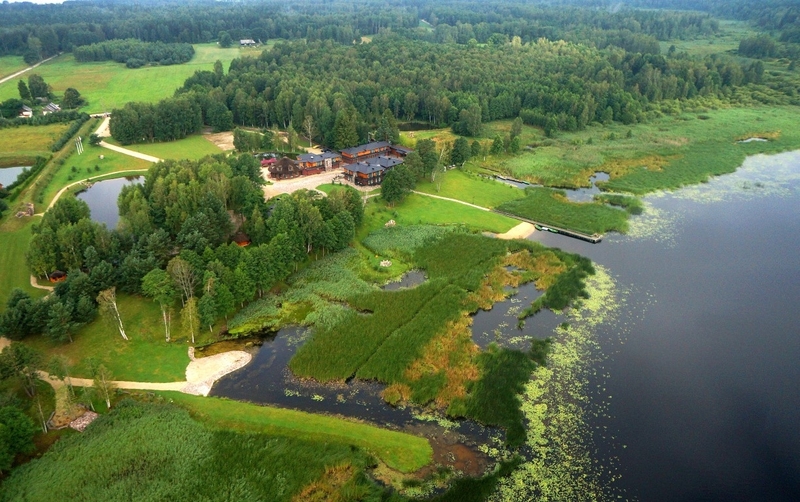 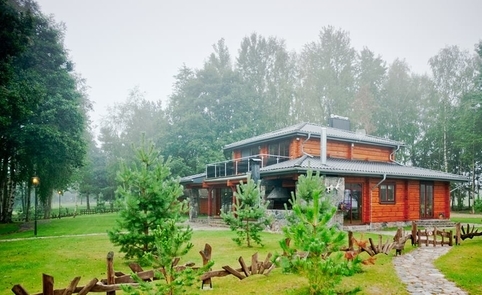 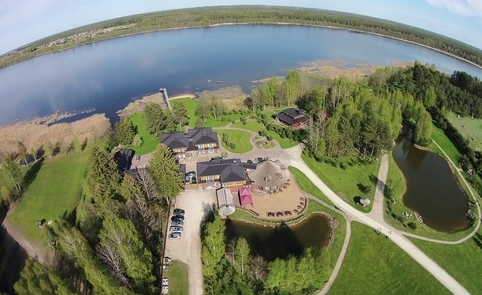 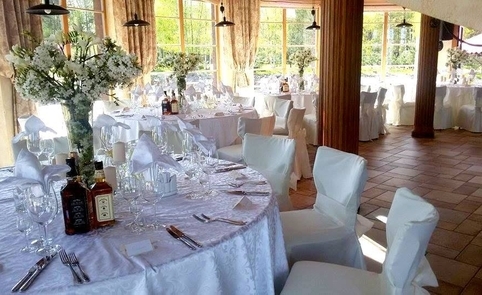 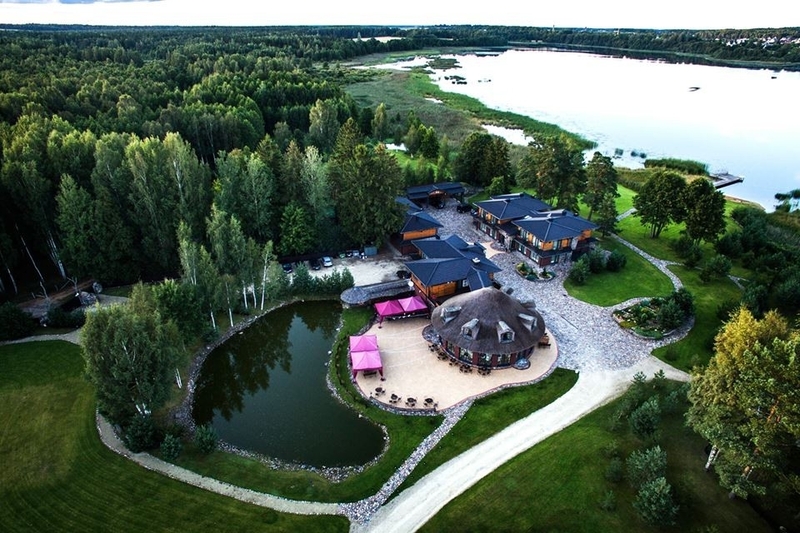 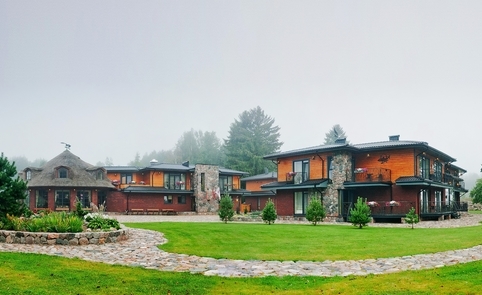 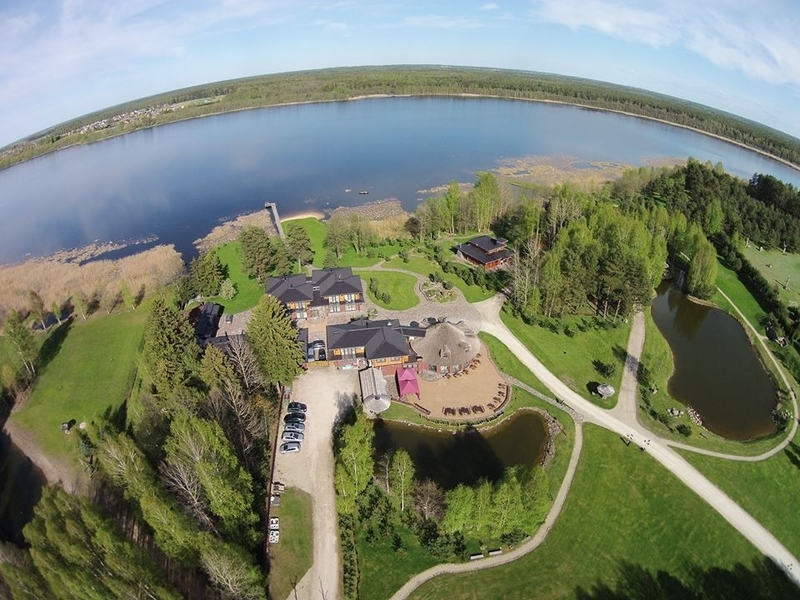 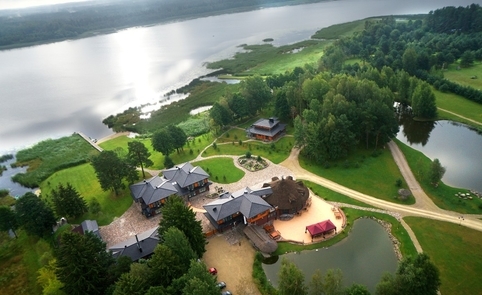 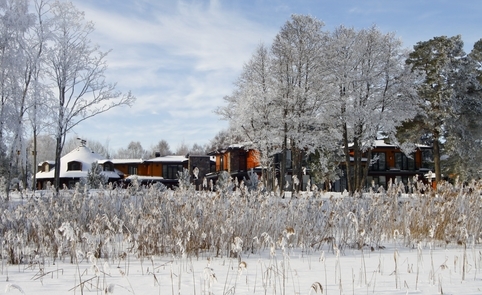 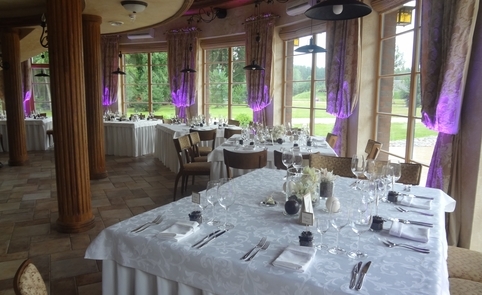 Villa "Dubgiris" - it is 4-building complex, consisting of: a guest house "Briedzio guolis", SPA and sauna complex and "Pauksciukai" apartment, banquet hall and "Uosves trobele". 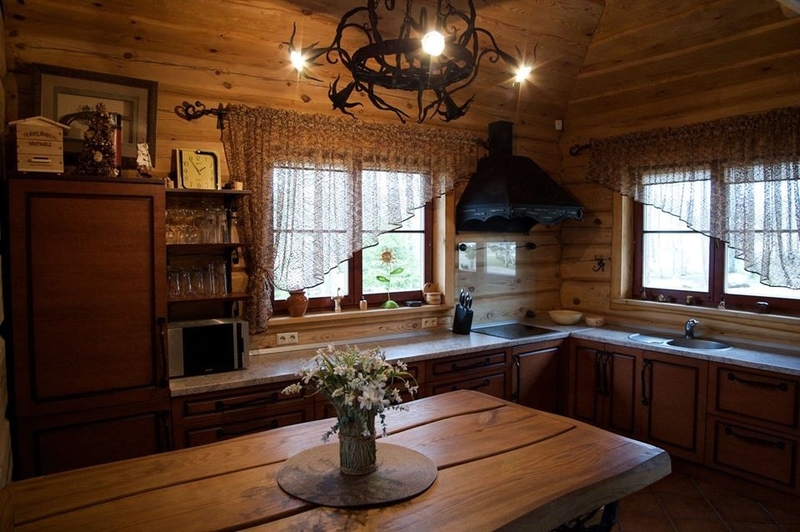 We have an impressive collection of trophies, hunted and brought from various parts of the world - Europe, Siberia, the Far East and Africa in the main guest house "Briedžio guolis". 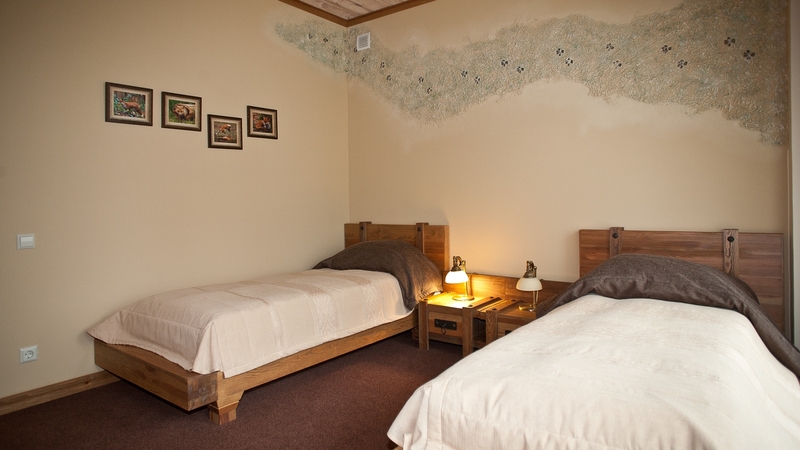 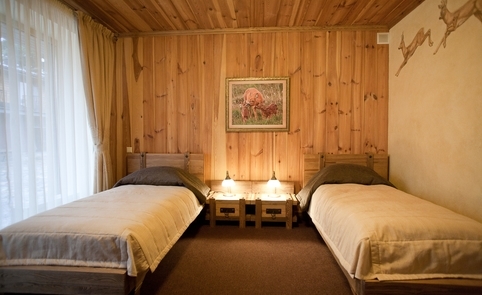 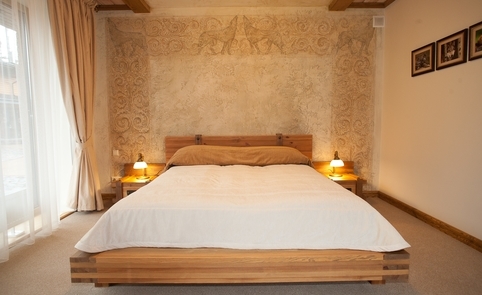 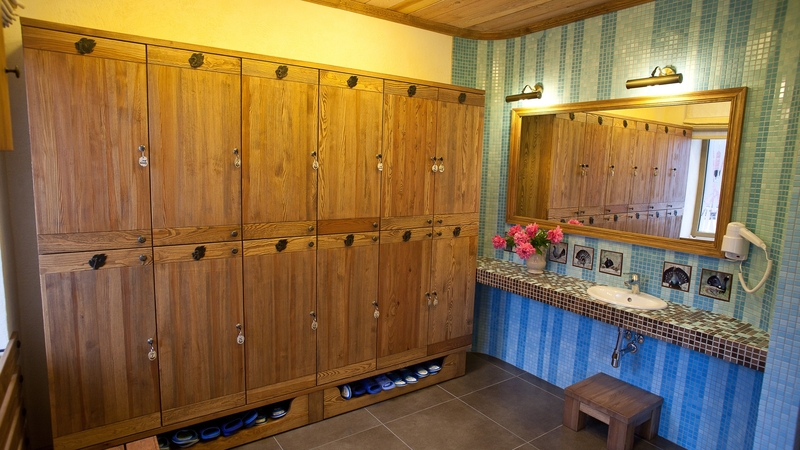 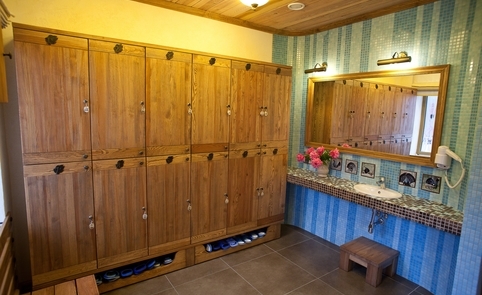 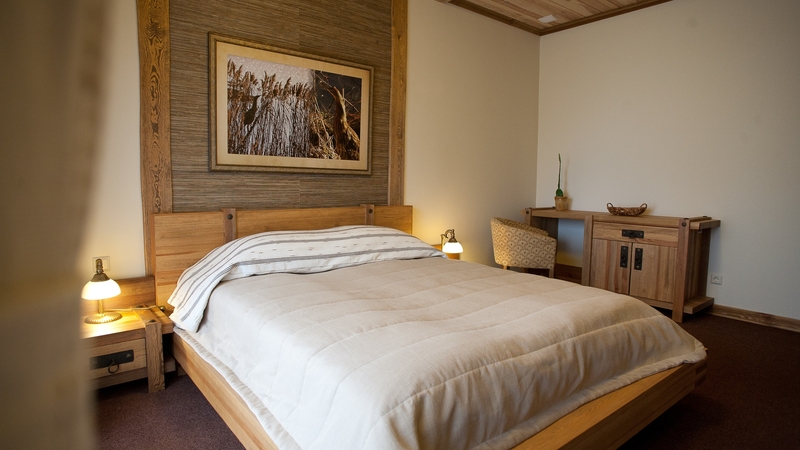 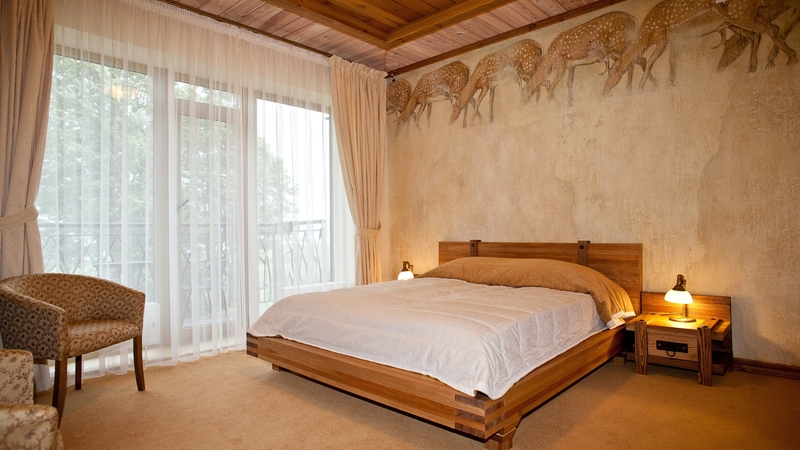 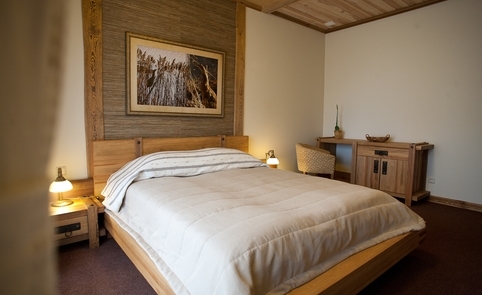 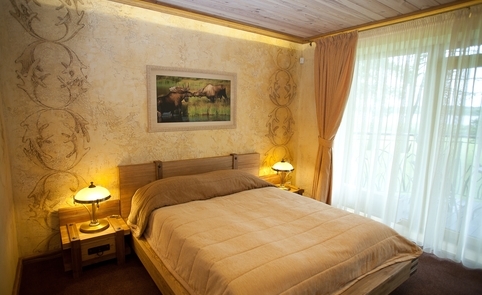 The guest house has 2 luxury suites and 12 double rooms. 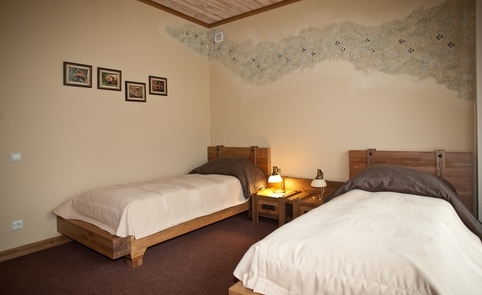 Rooms are not numbered in usual way. 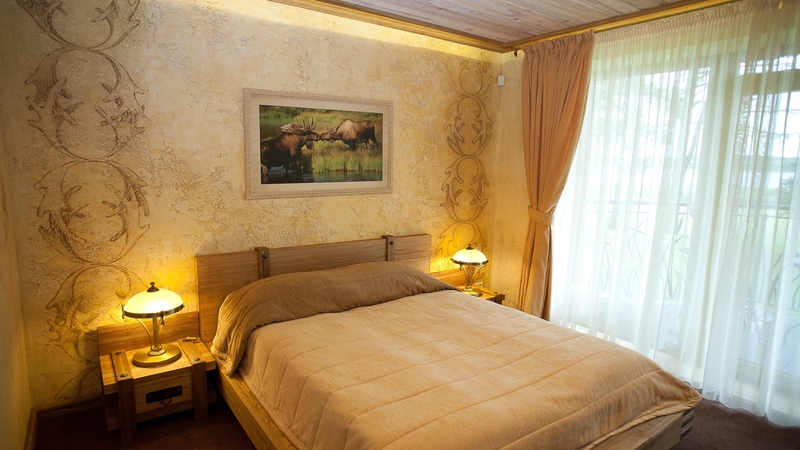 Each room is named after the names of different animals and interior styling was selected by lifestyle and environment of animals. 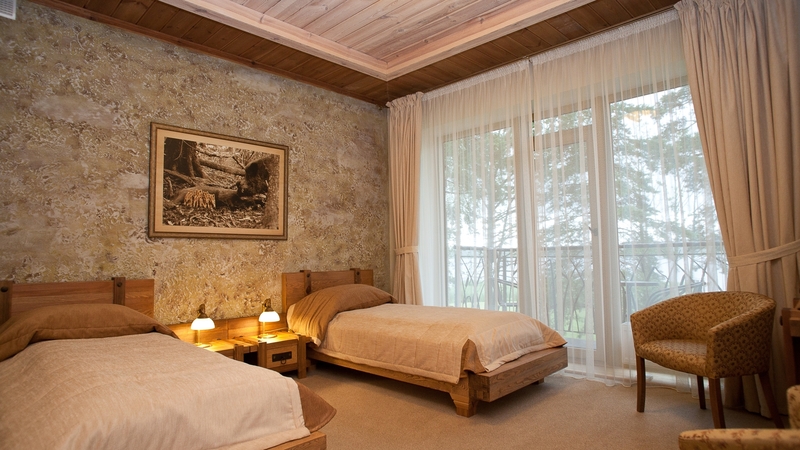 In another building of the homestead there are 3 suites, which also are not numbered in usual way. 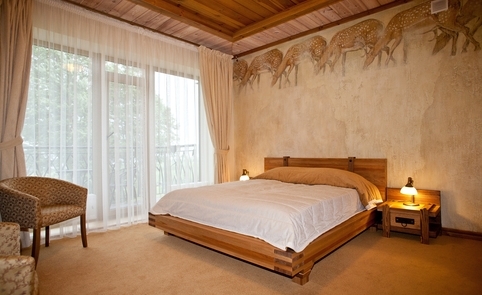 Each of the apartments have different names of the birds and bird themes are prevailing in the rooms. 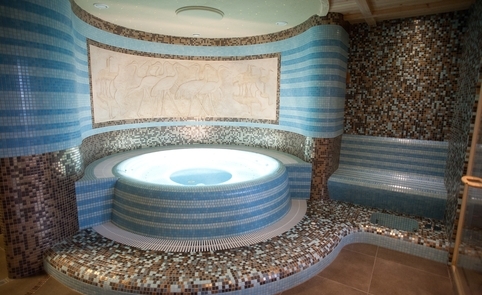 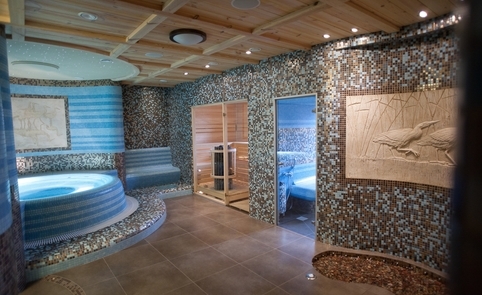 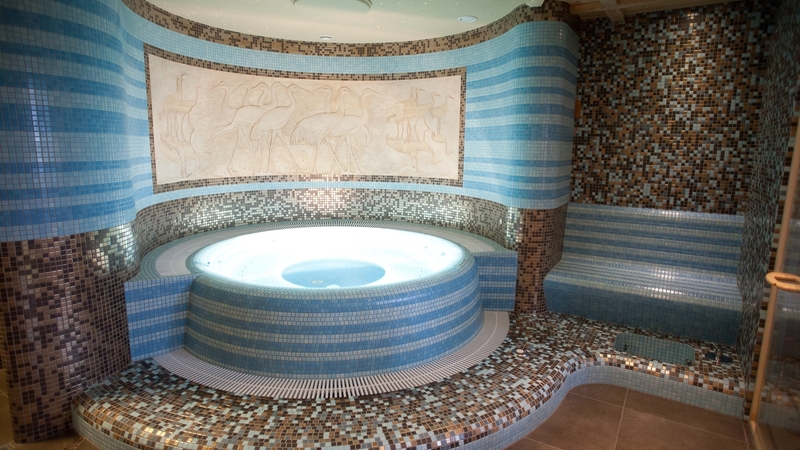 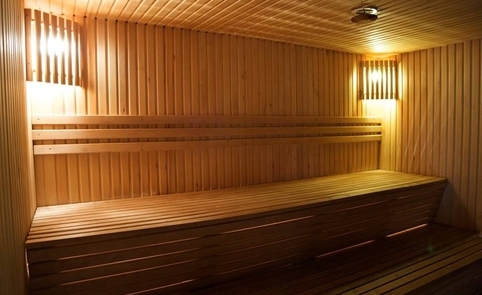 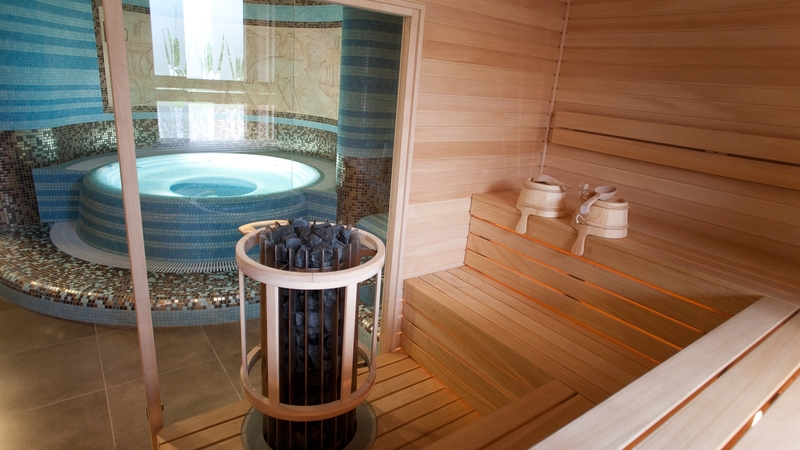 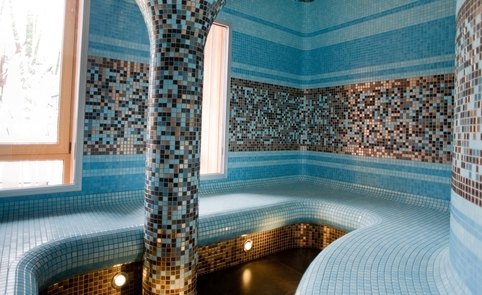 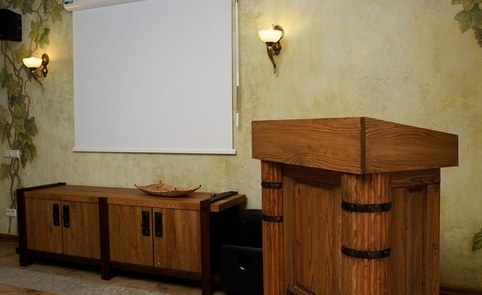 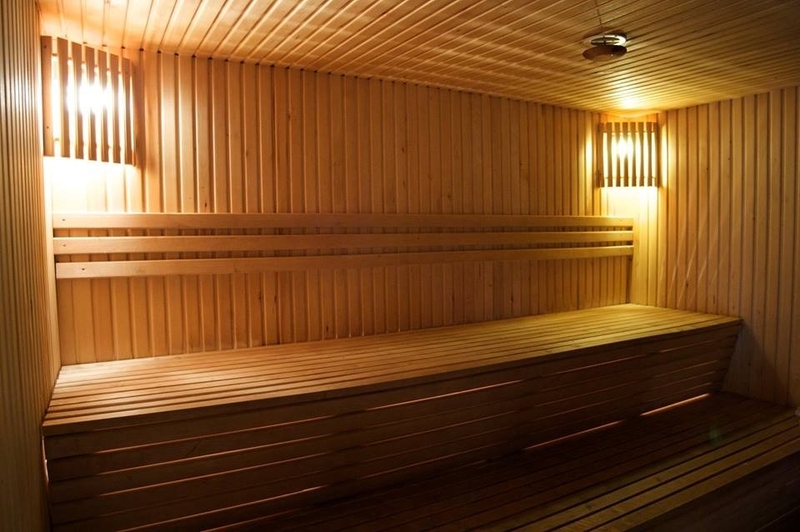 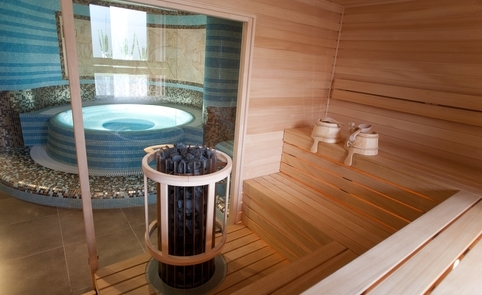 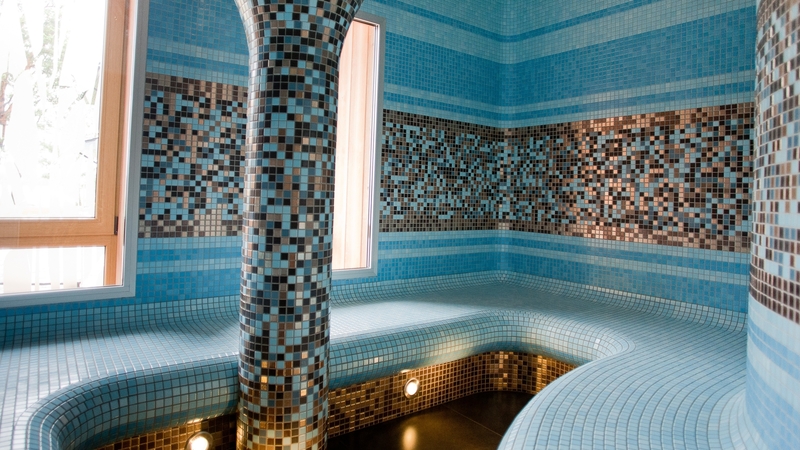 Villa "Dubgiris" offers for the baths lovers a cozy, private and small sauna complex where you can enjoy Finish sauna with steam and without steam and Turkish bath. 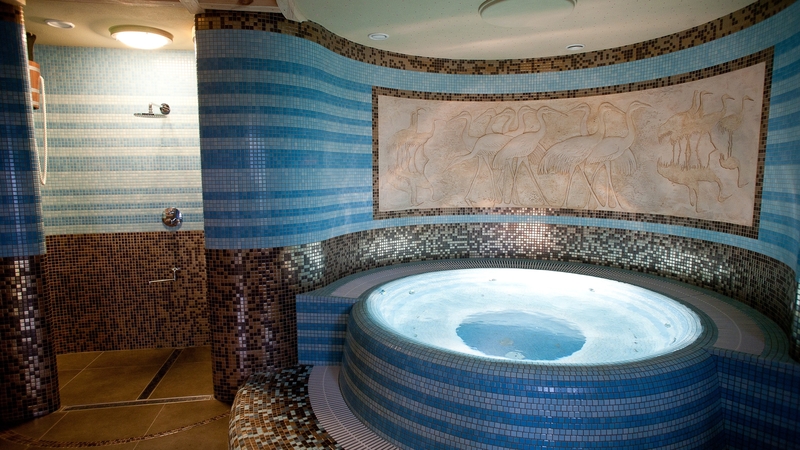 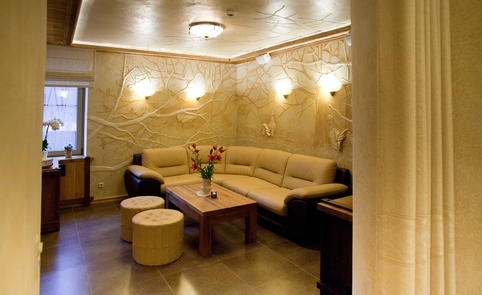 Those who want to relax, we offer Jacuzzi, the massaging stone track, warming bench, various fun showers, massage and relaxation room. 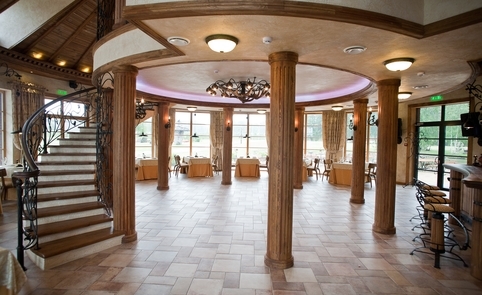 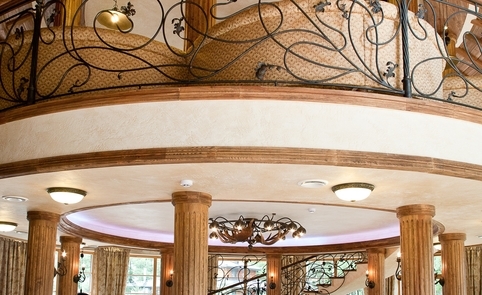 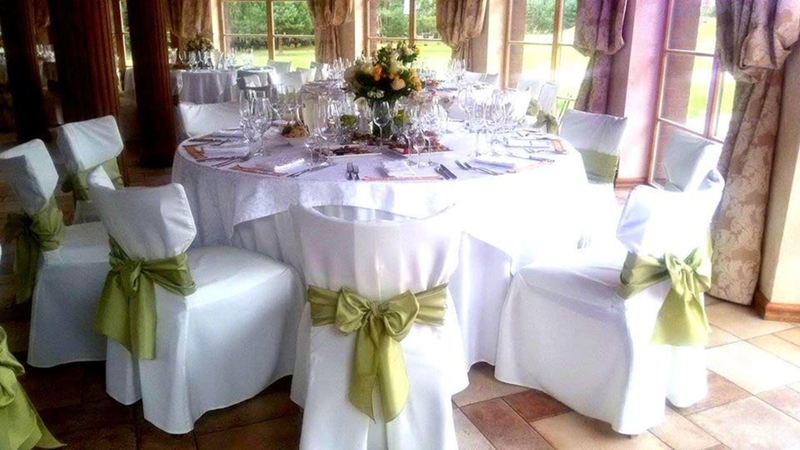 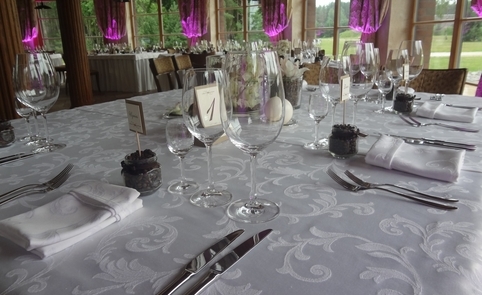 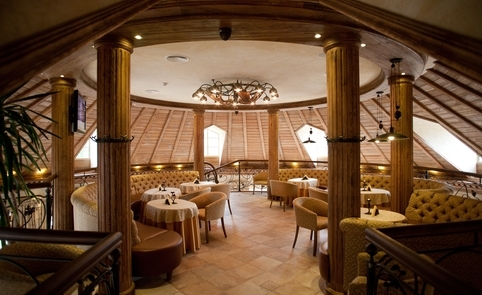 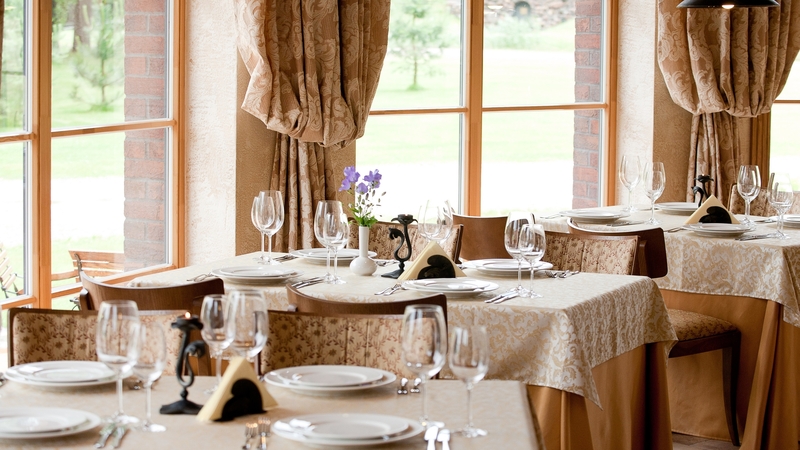 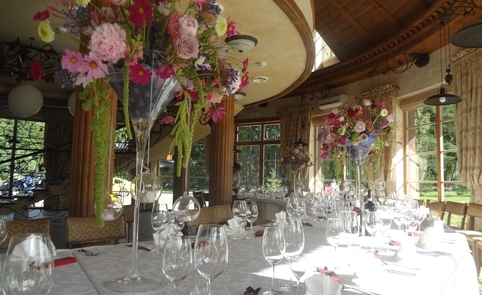 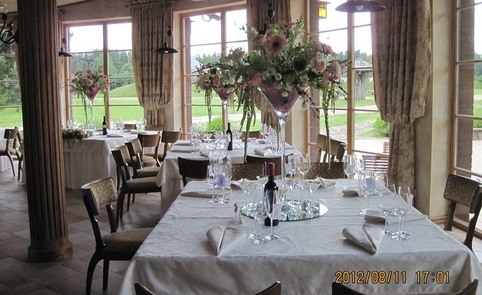 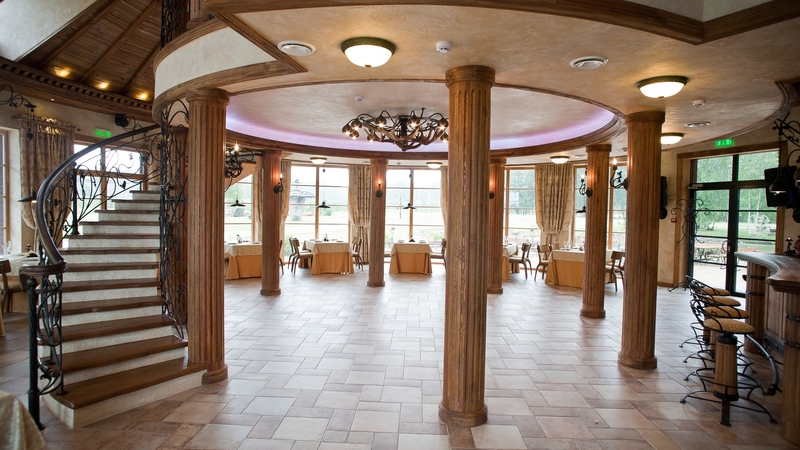 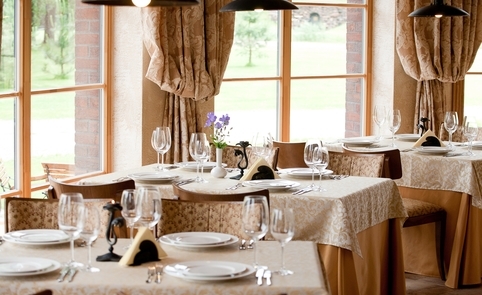 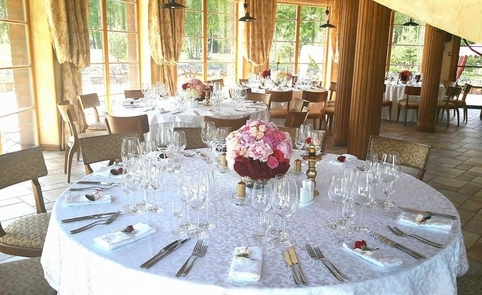 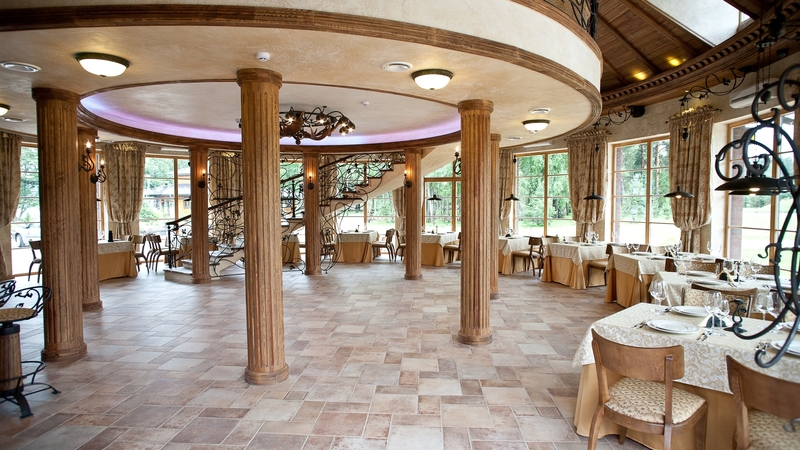 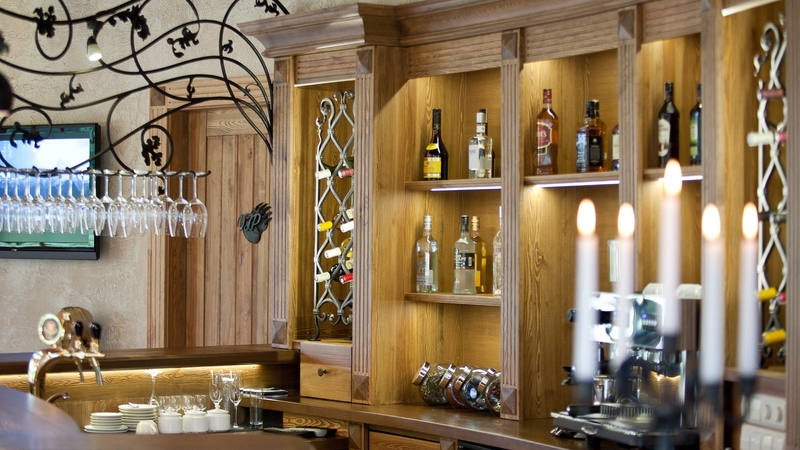 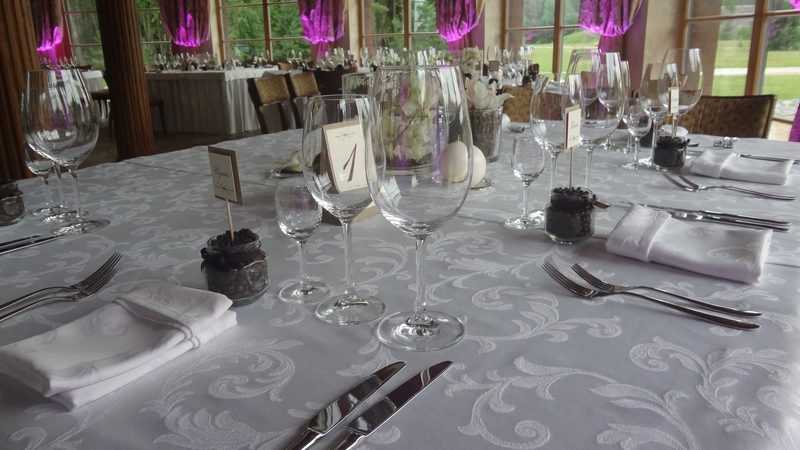 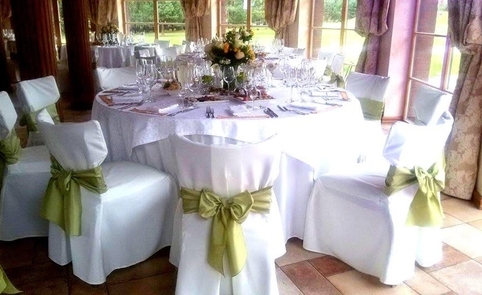 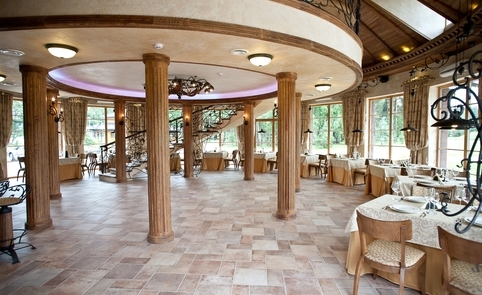 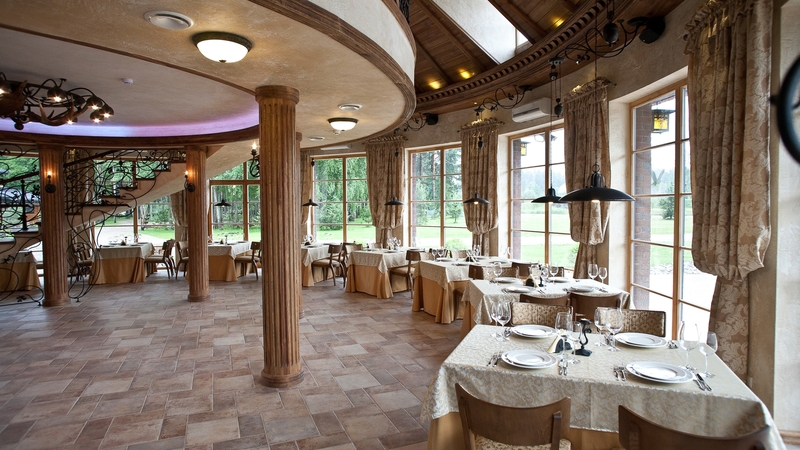 The refined luxury banquet hall of the homestead has great immaculate and delicate interior. 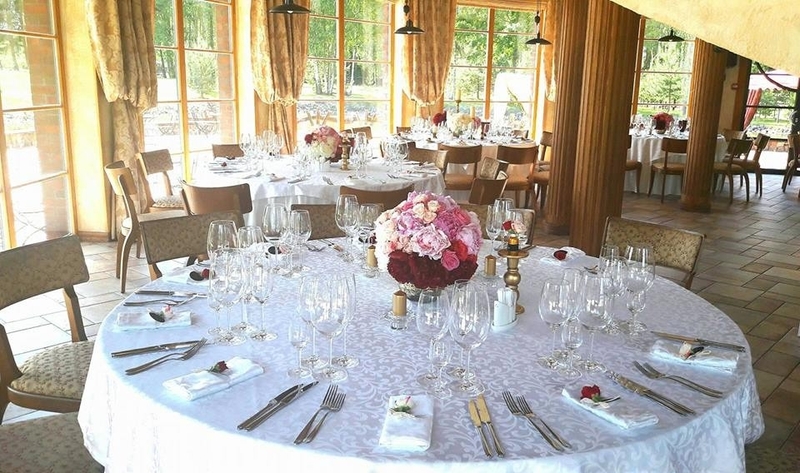 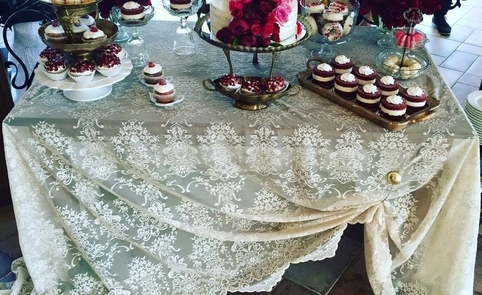 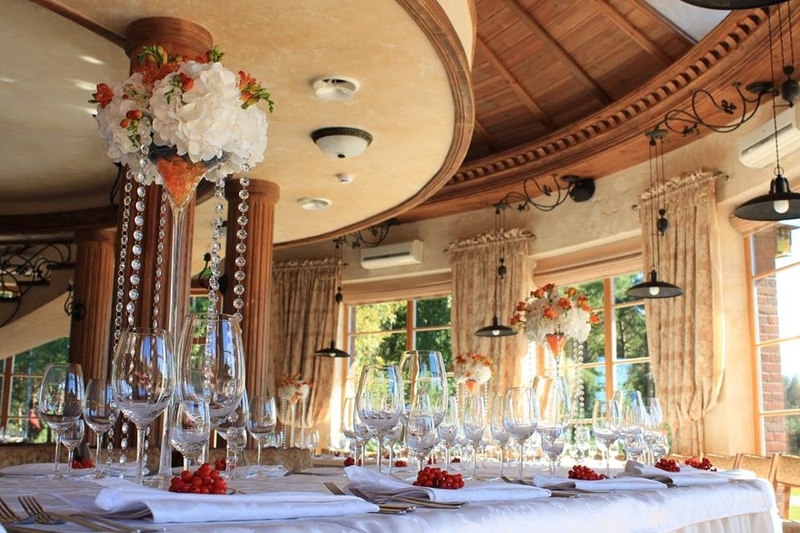 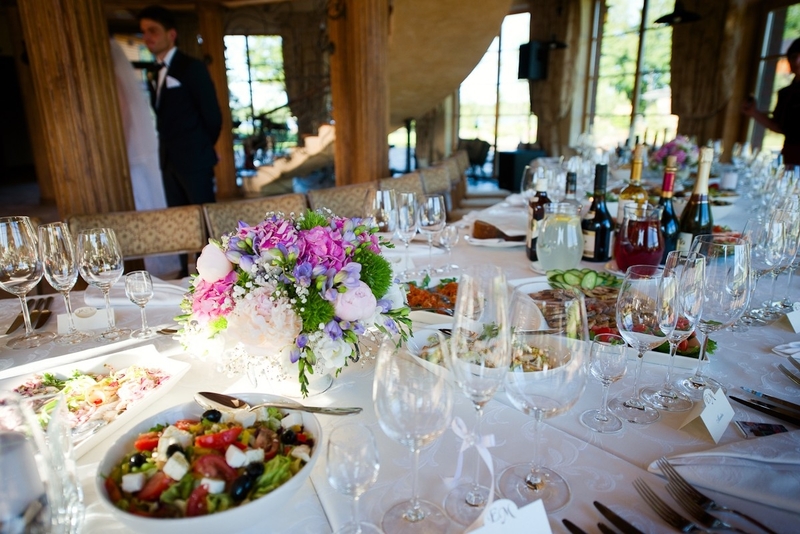 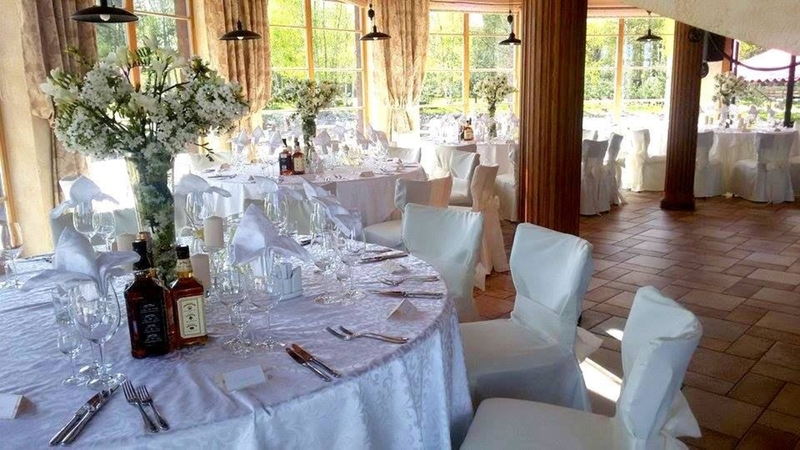 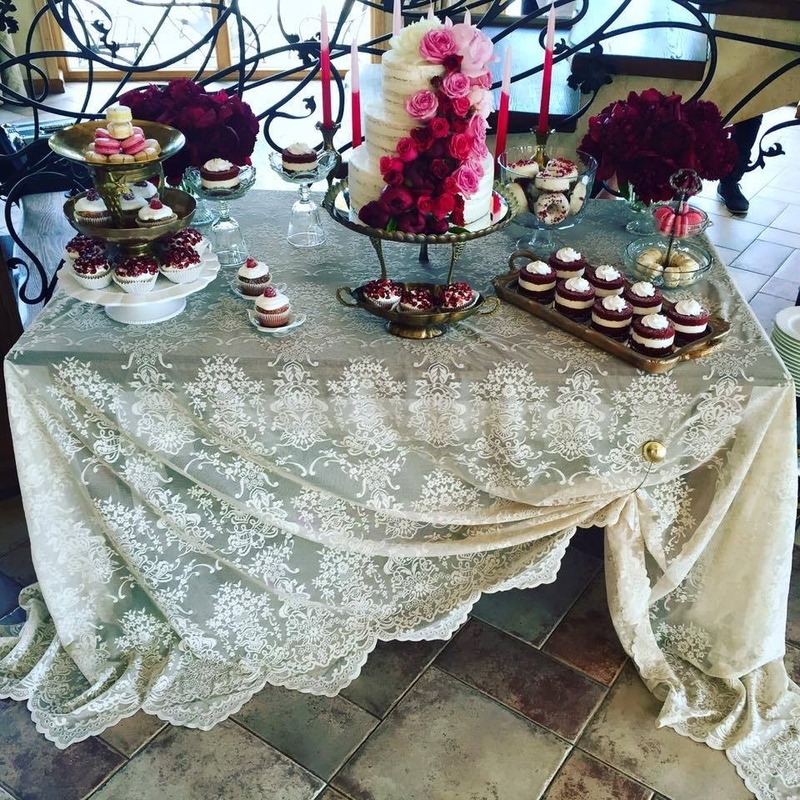 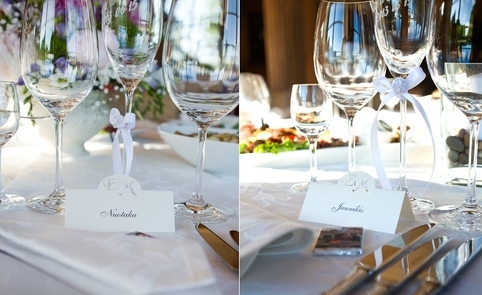 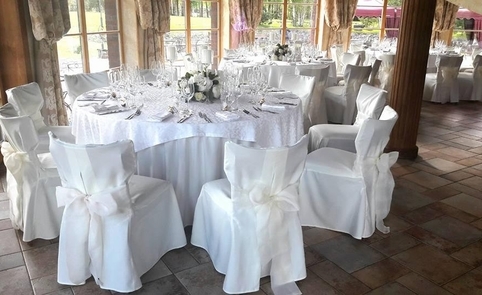 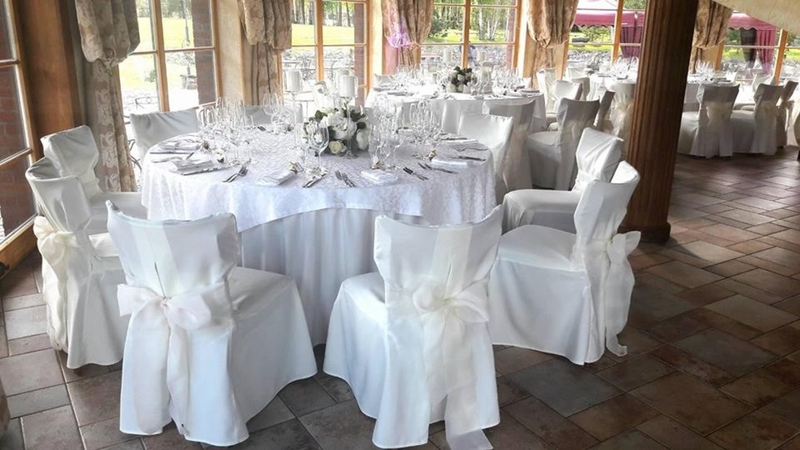 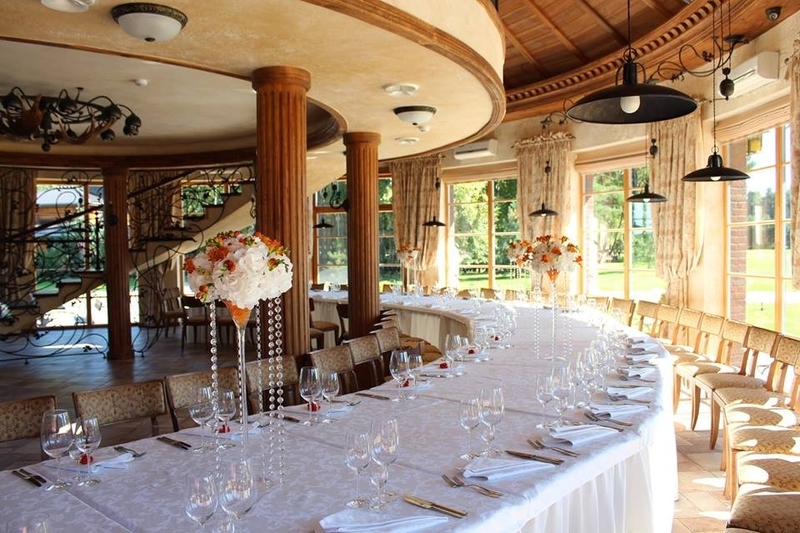 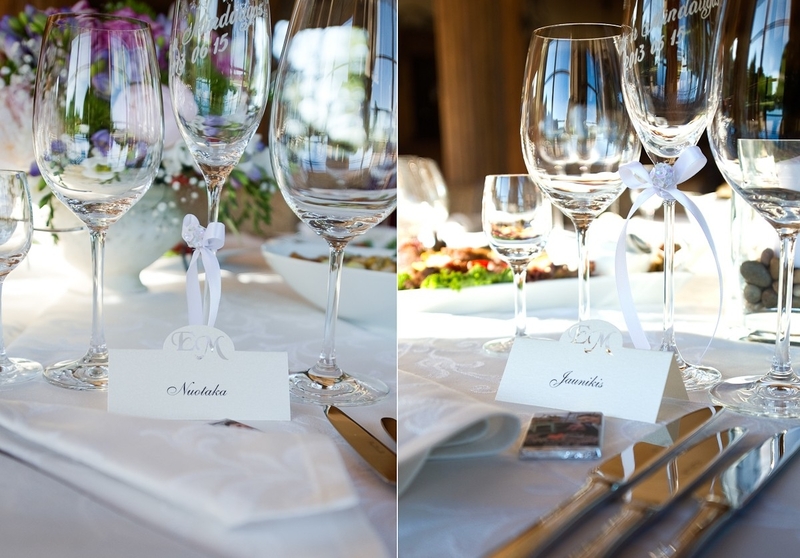 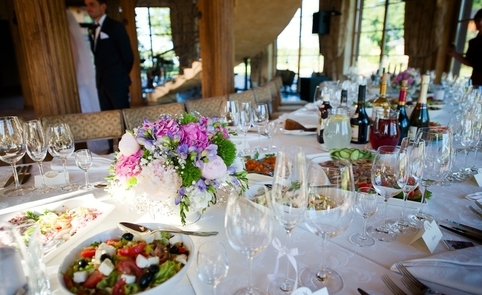 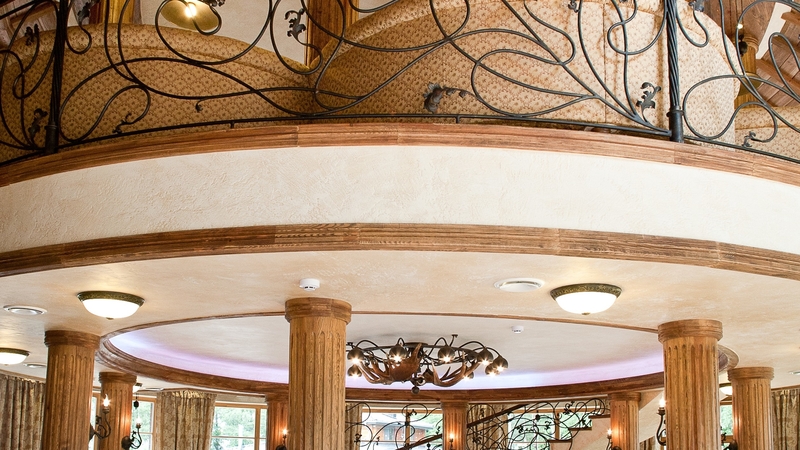 We can arrange in this two-story, high-level banquet hall any of your celebration, and a professional kitchen will offer a variety of dishes, including traditional dishes of Zemaitija. 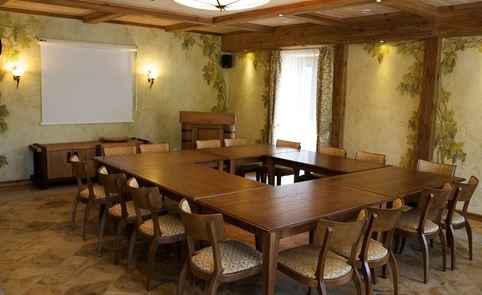 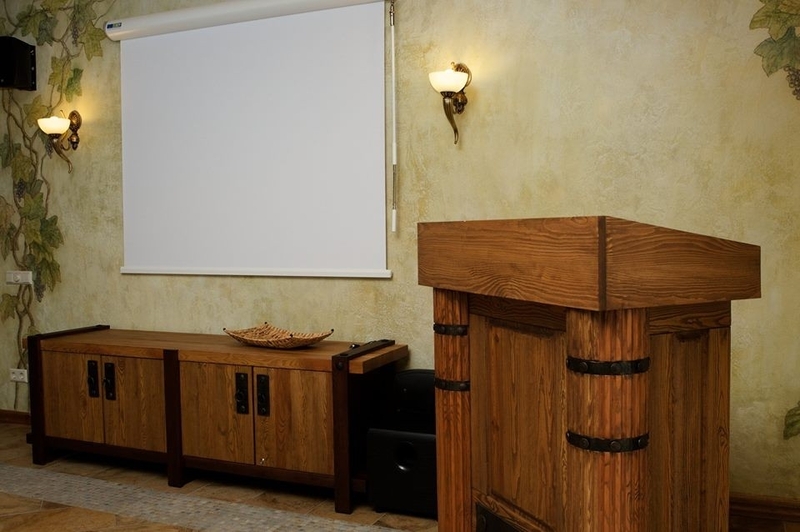 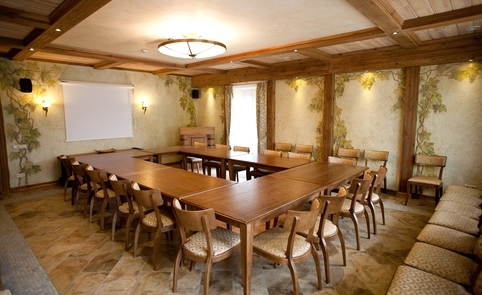 A comfortable conference hall with all necessary equipment is ready for trainings and seminars on the second floor of the Banquet Hall. 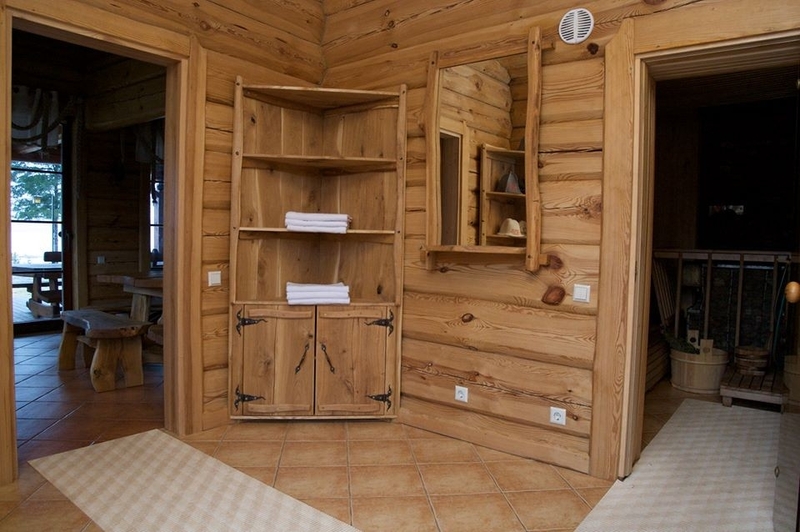 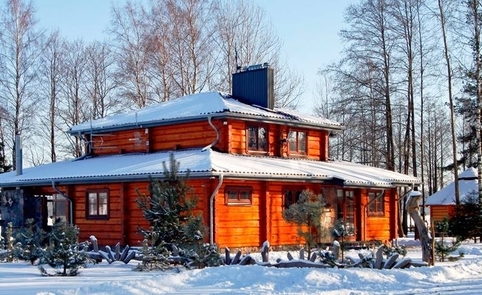 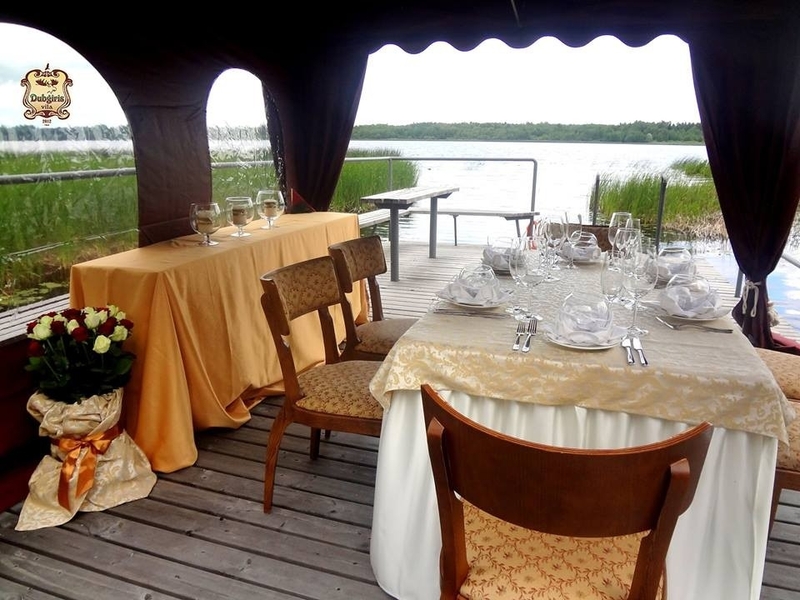 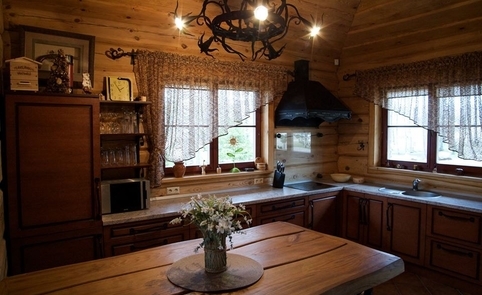 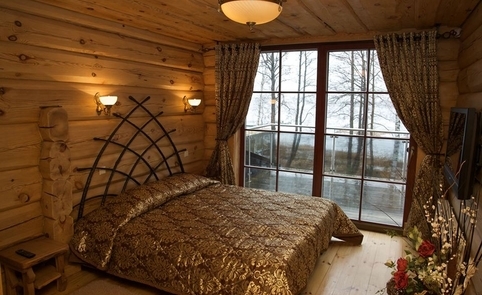 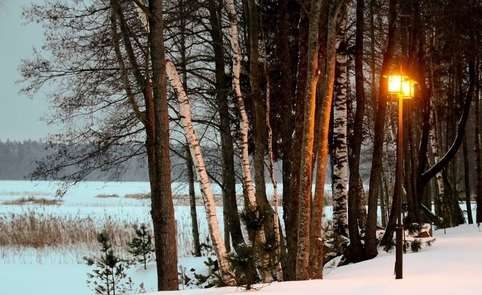 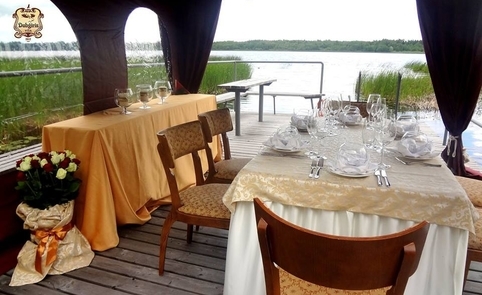 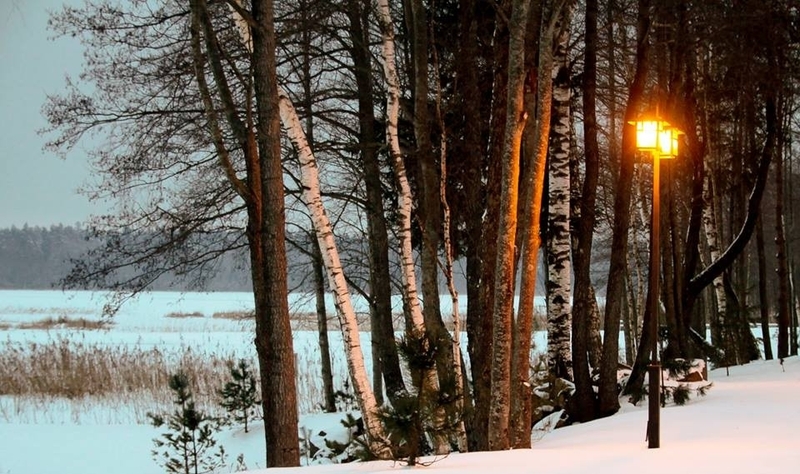 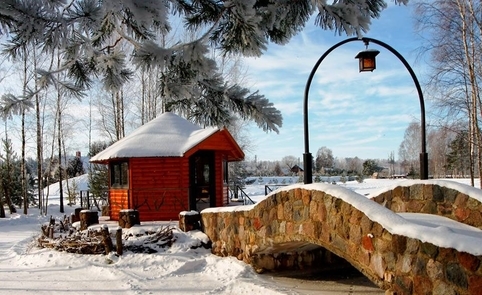 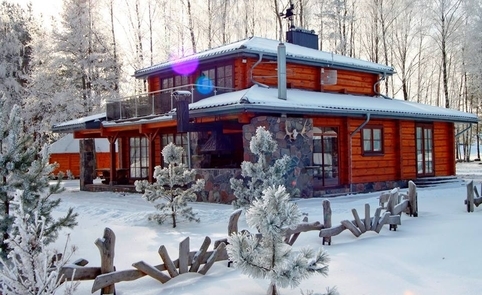 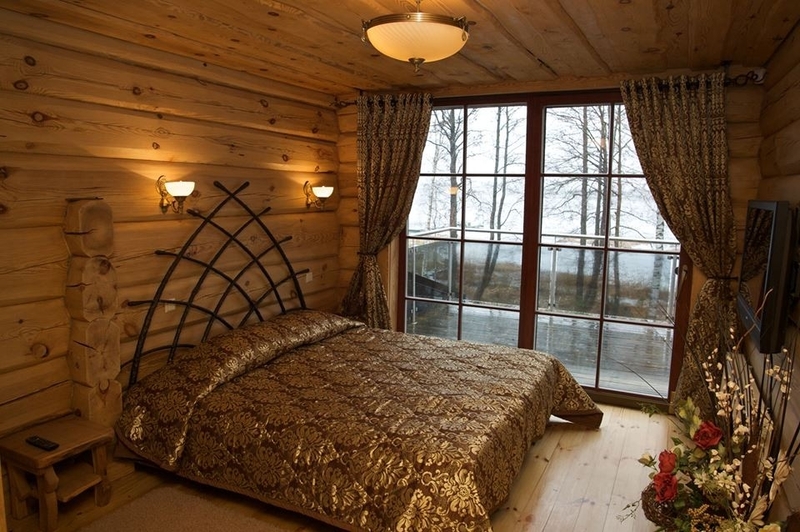 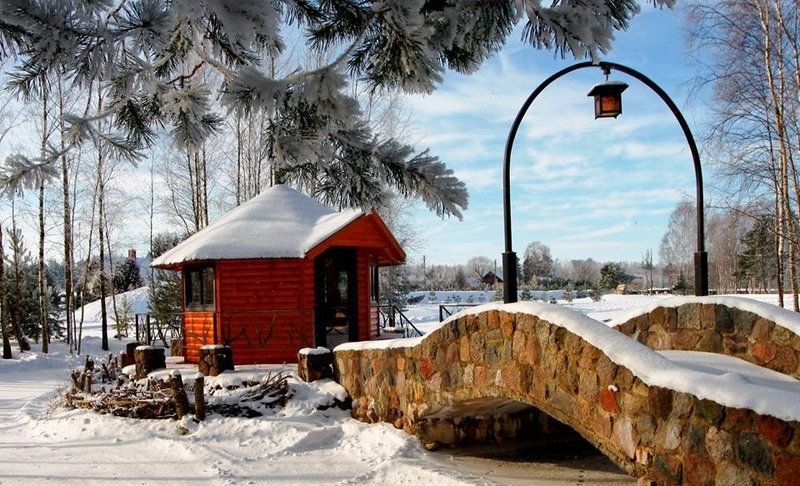 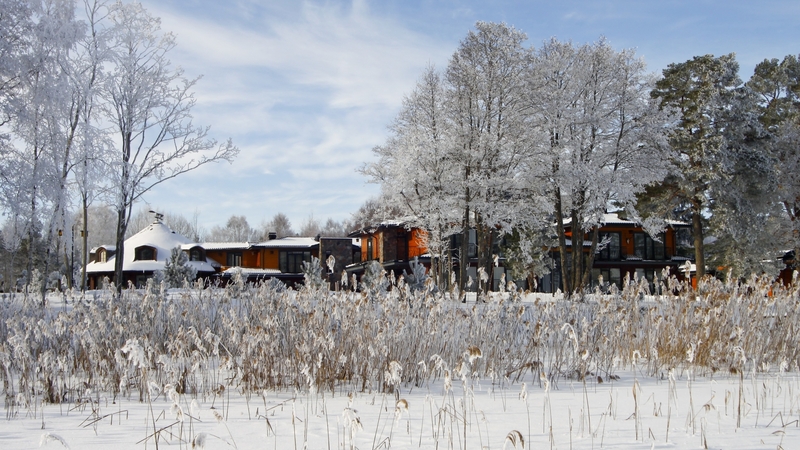 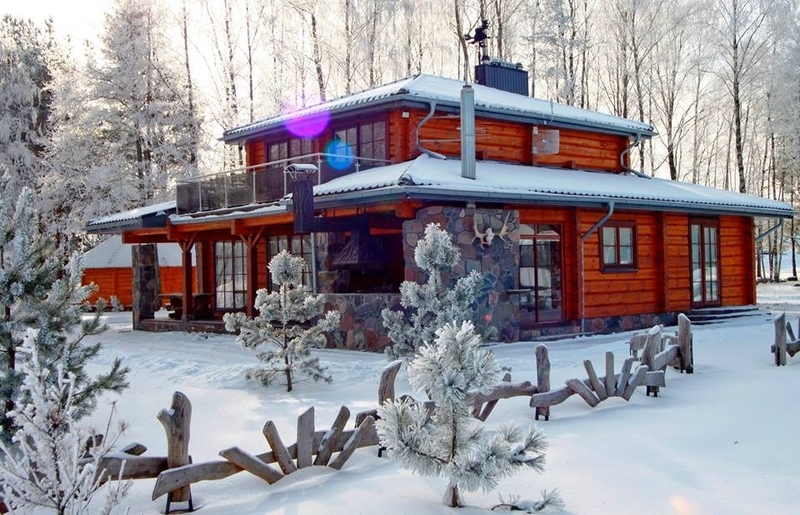 A little hut "Uosves trobele" stands slightly aside and is equipped with Russian sauna with big dressing room, an outdoor terrace with fireplace has a beautiful view of the lake, comfortable bedrooms, a spacious kitchen and living room with a fireplace. 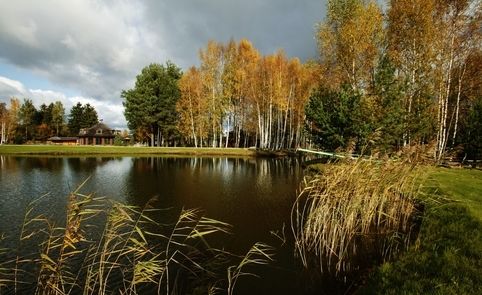 You will find ponds full of fishes in the carefully managed areas of the homestead. There is fish observation place and we will smoke the fish you caught right away. 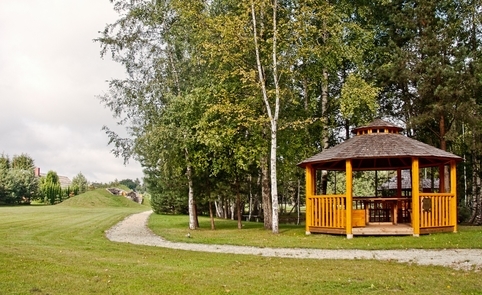 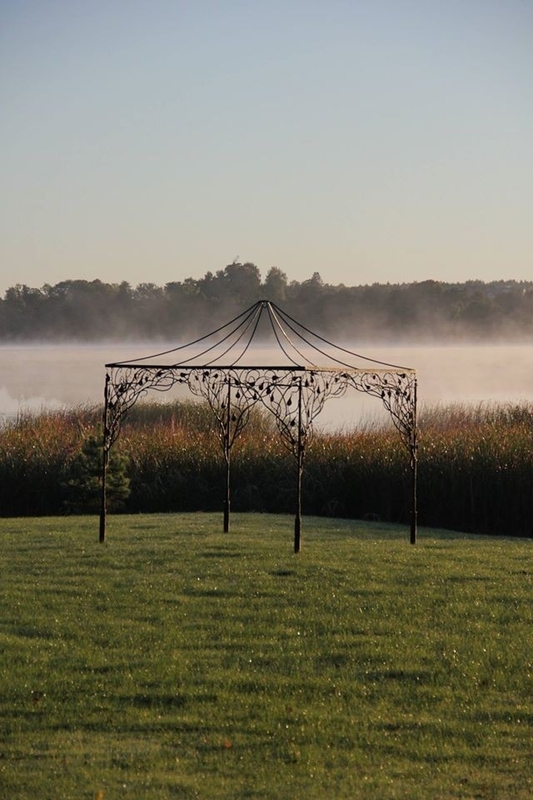 You can enjoy the tranquillity on a bird observation tower. 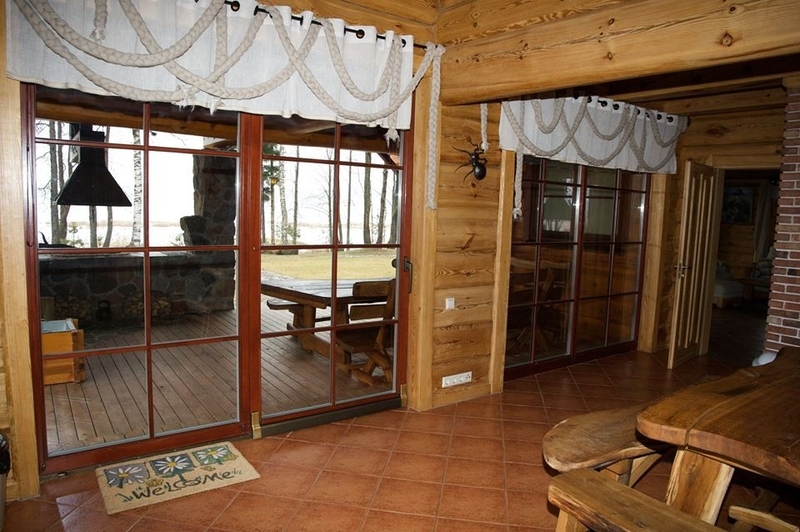 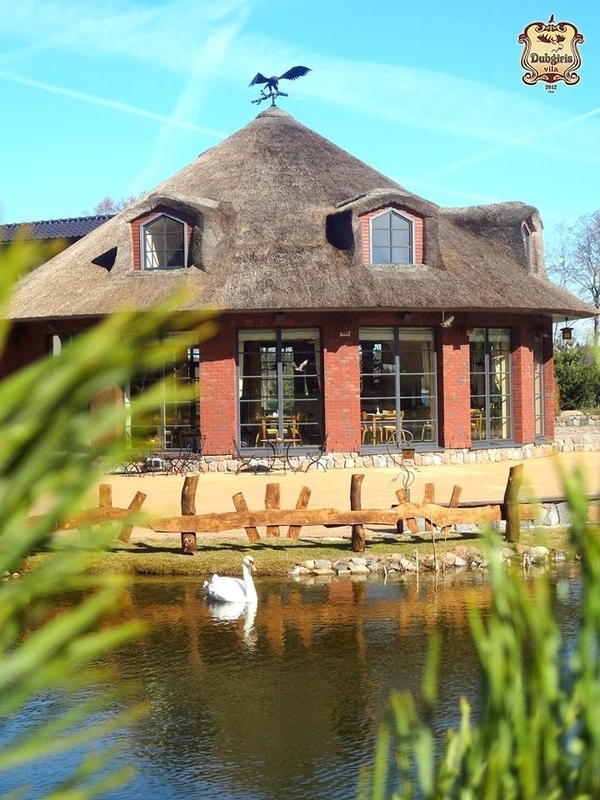 You can spend good time in summerhouses in the house standing in middle of the pond's island. 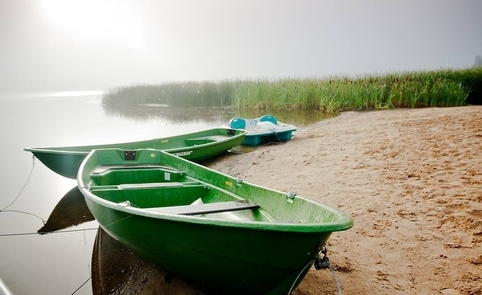 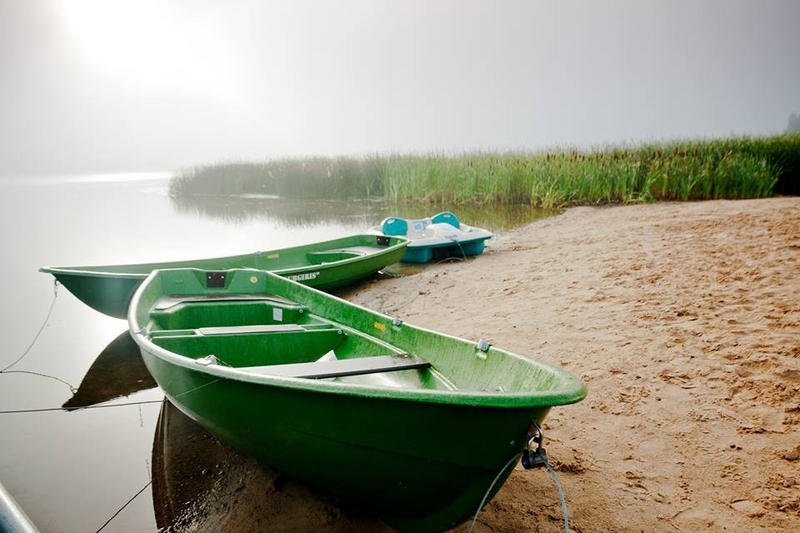 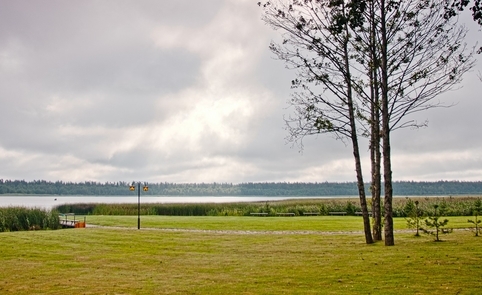 Visitors who love active recreation are offered water cycling, boating, kayaking and canoeing, and they may enjoy the spectacular scenery of the Lake Plinksiai. 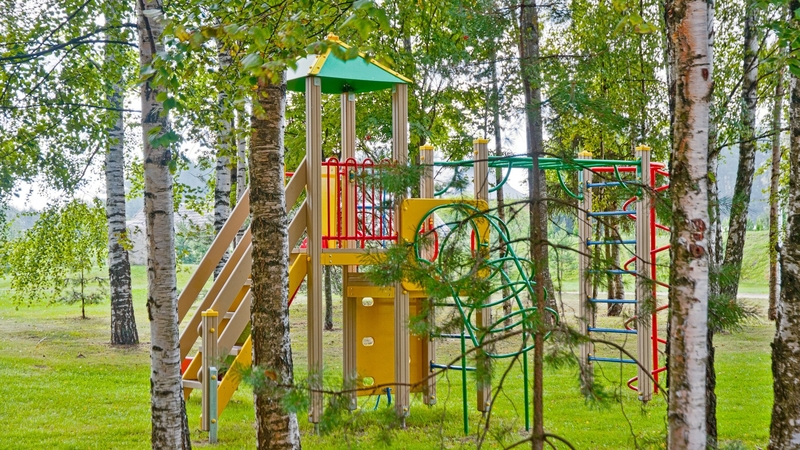 To explore the neighbourhood and its sites, we offer bicycles, and those who like emotional games are invited to play basketball or volleyball in our playing field. 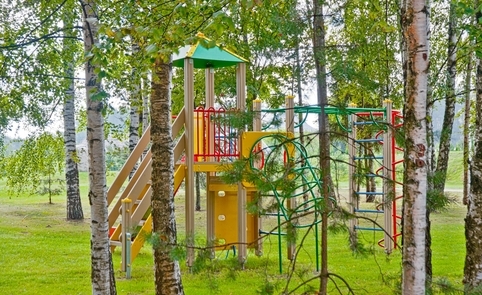 For the youngest guests there is a playground with swings and lots of climbing facilities. 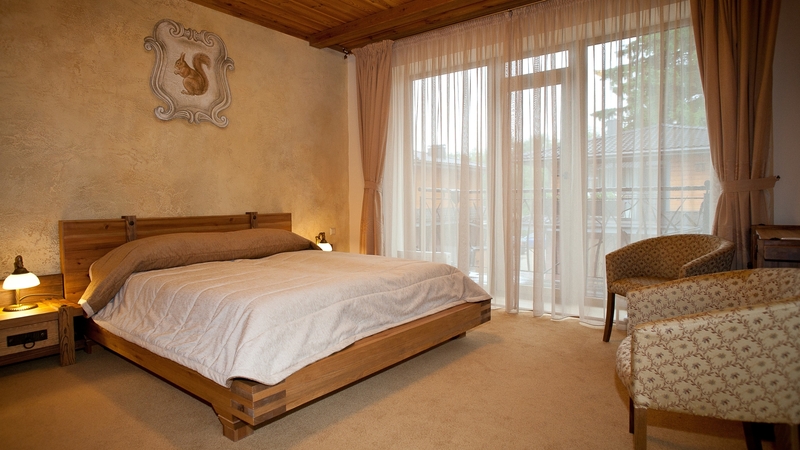 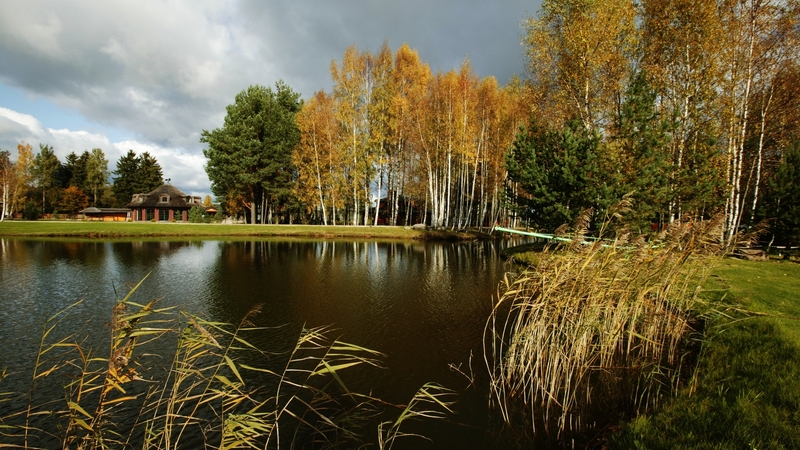 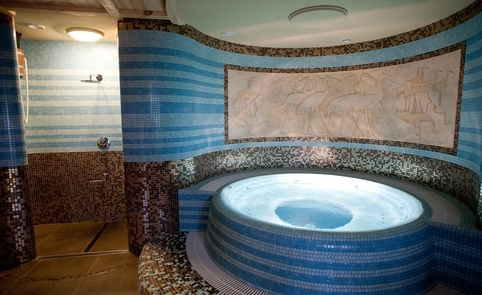 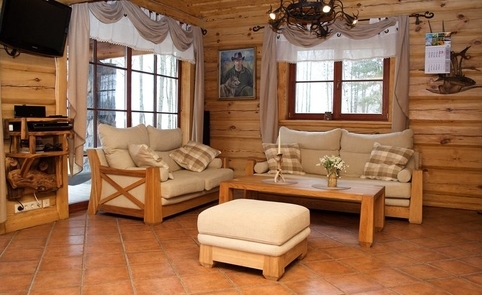 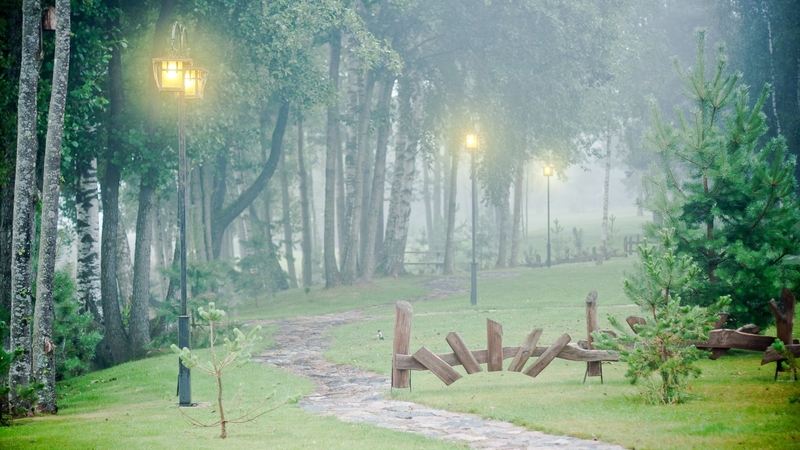 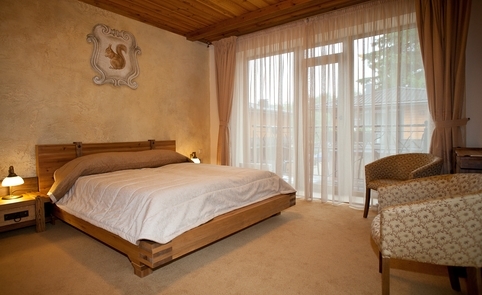 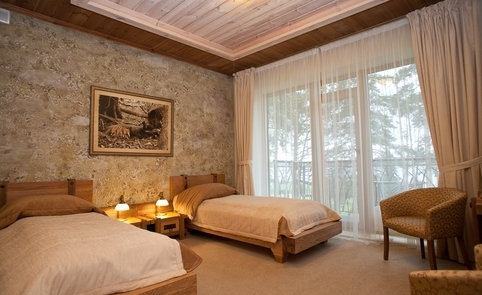 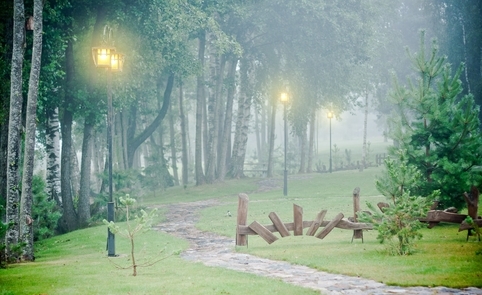 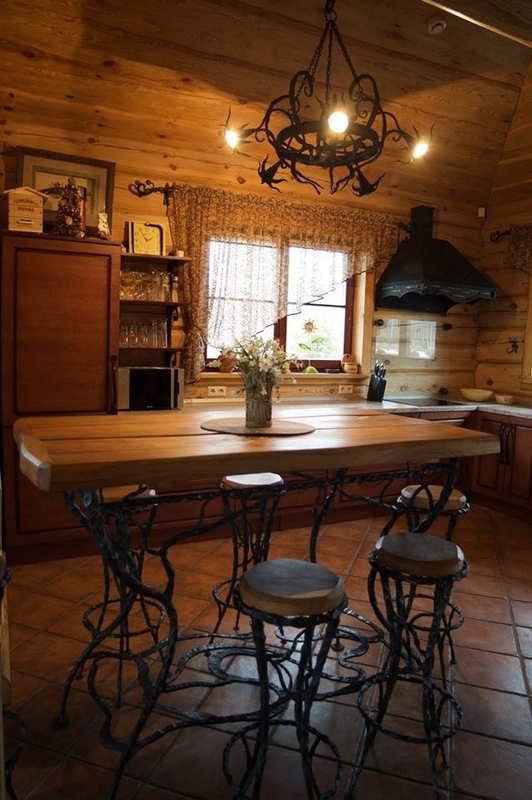 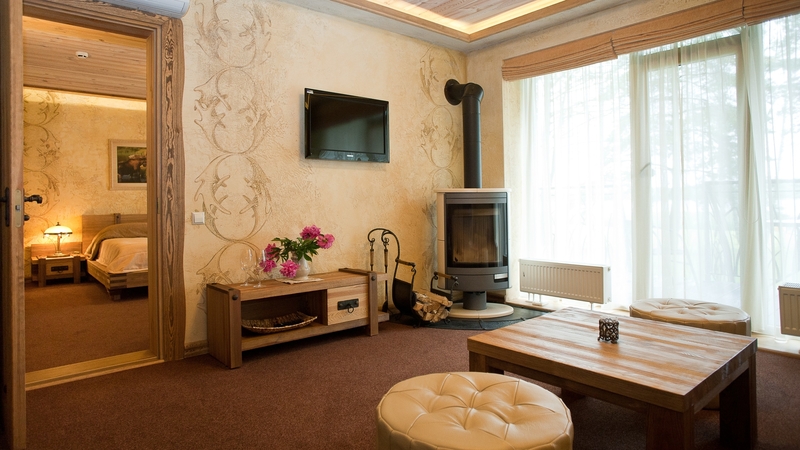 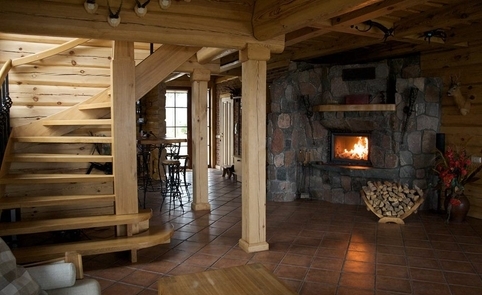 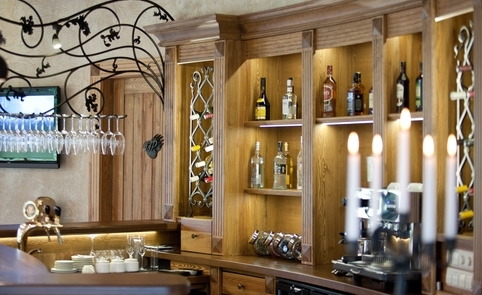 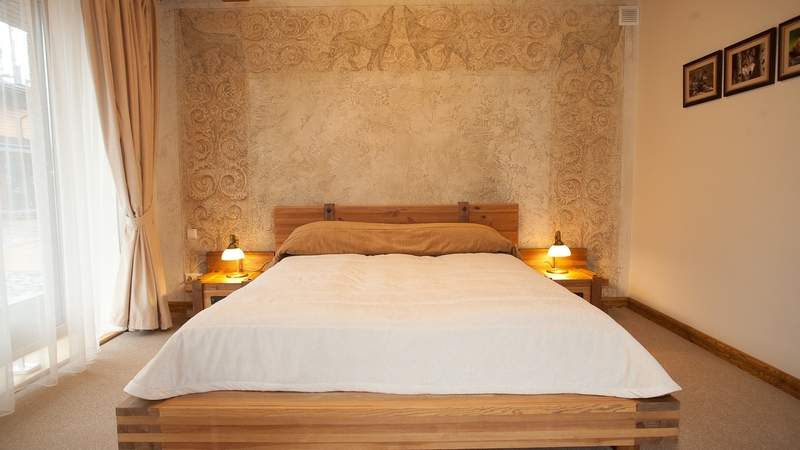 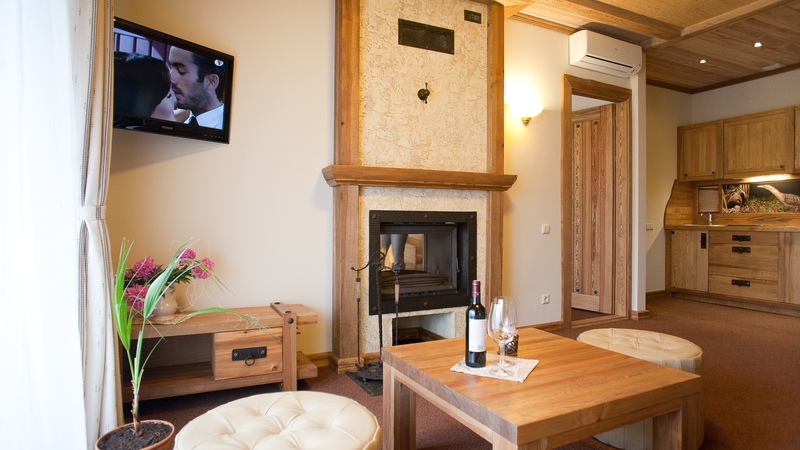 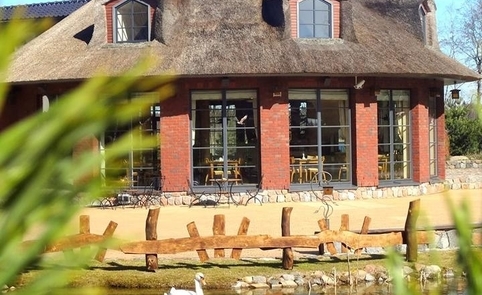 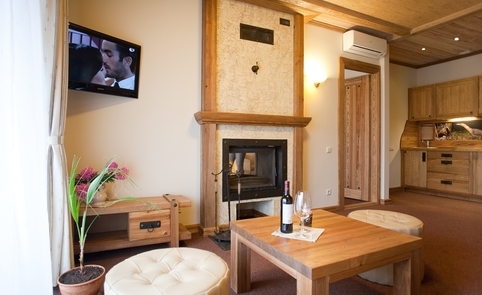 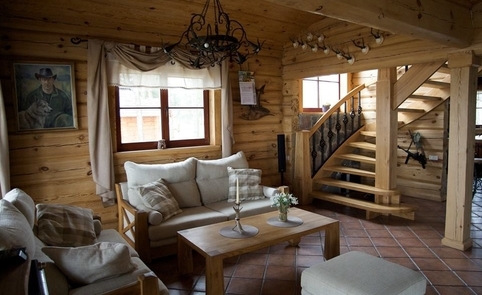 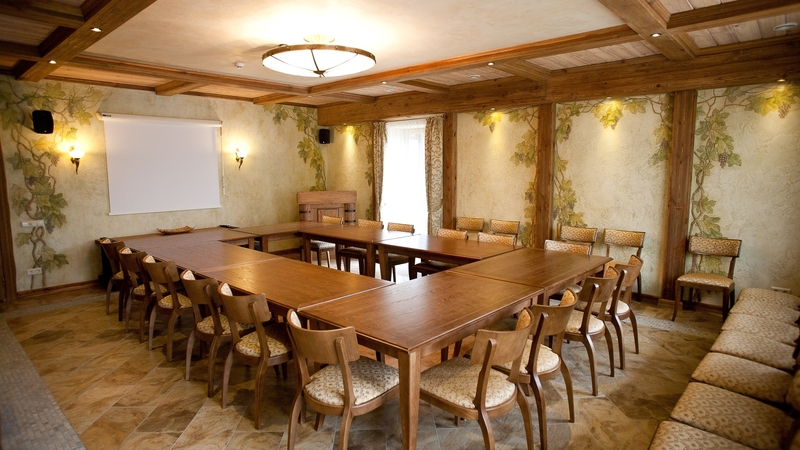 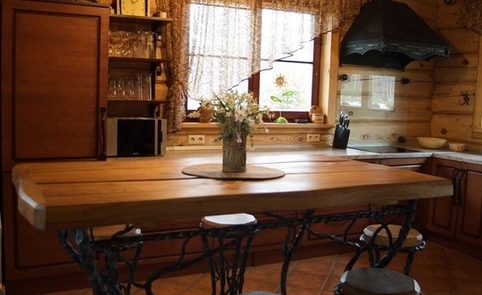 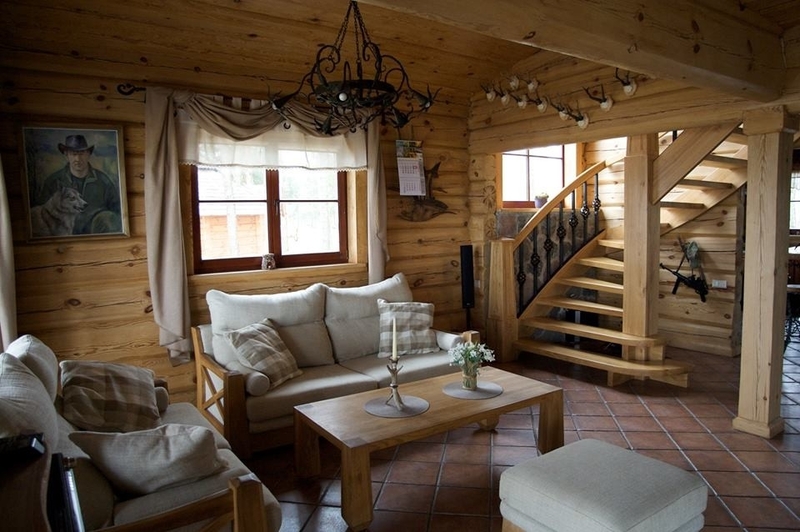 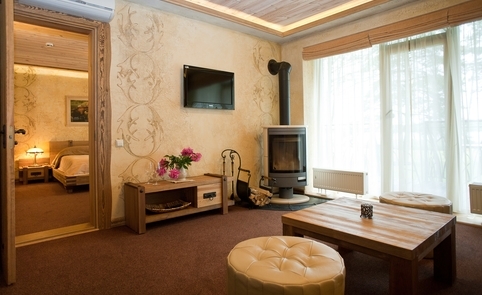 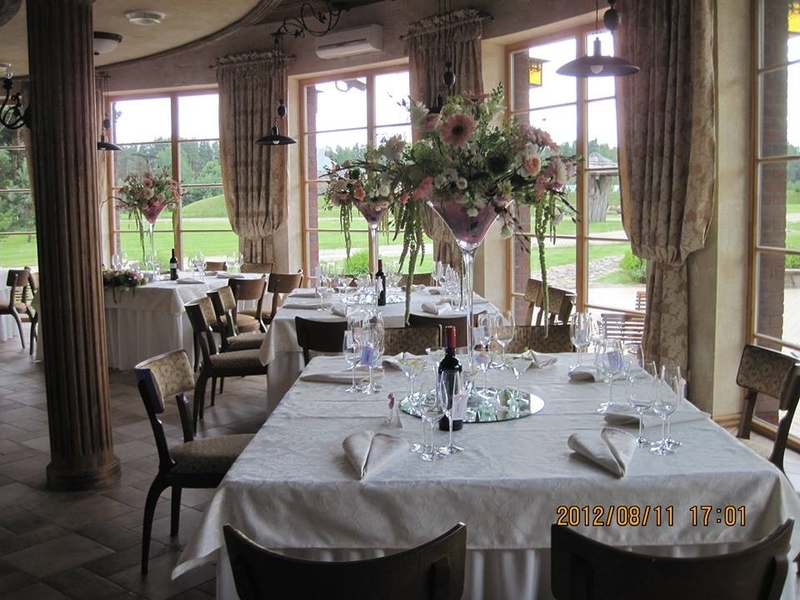 Villa “Dubgiris“ is the place where you can rest and recuperate after hard work, and get an unforgettable experience.